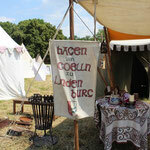 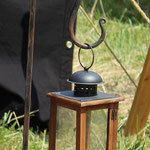 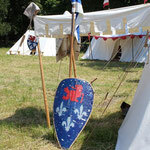 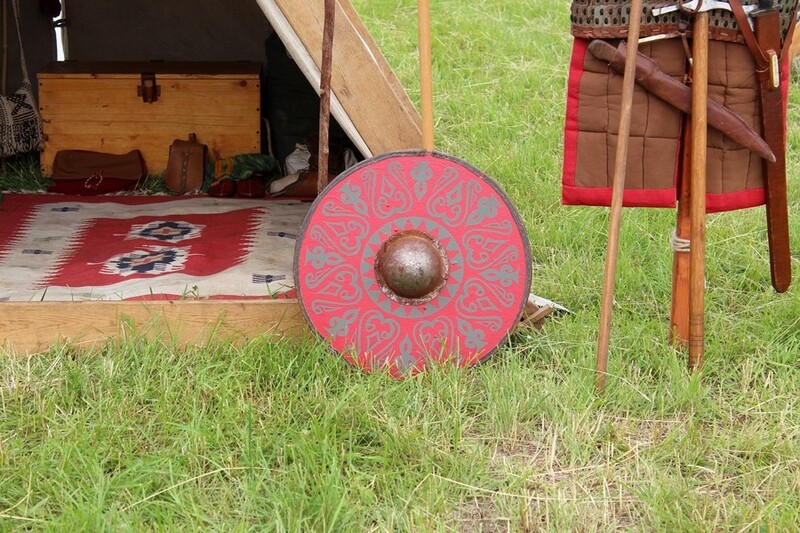 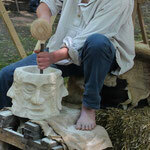 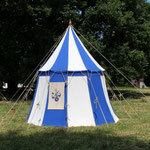 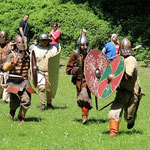 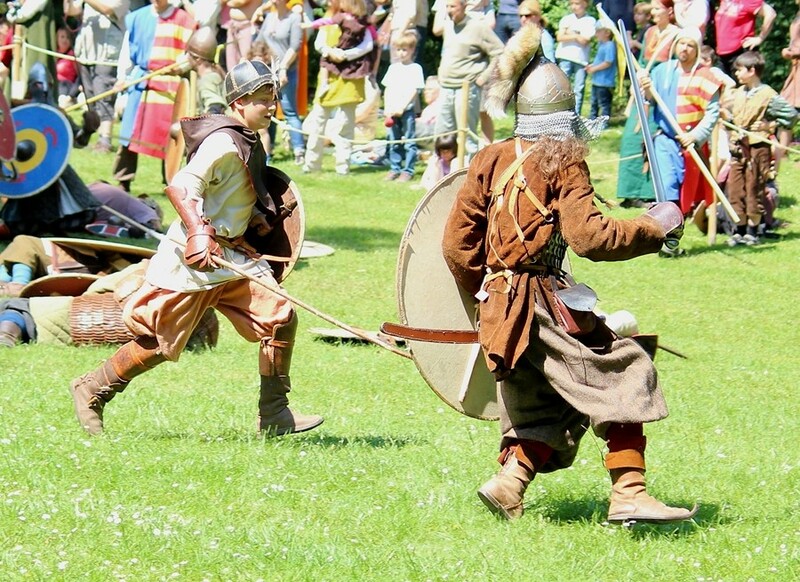 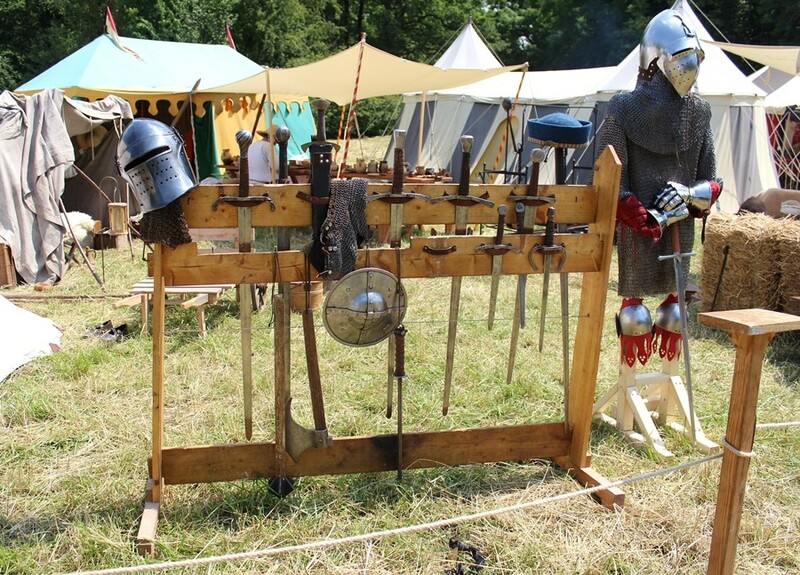 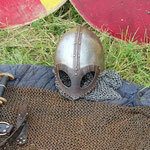 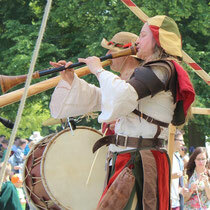 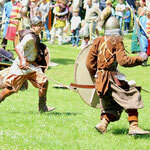 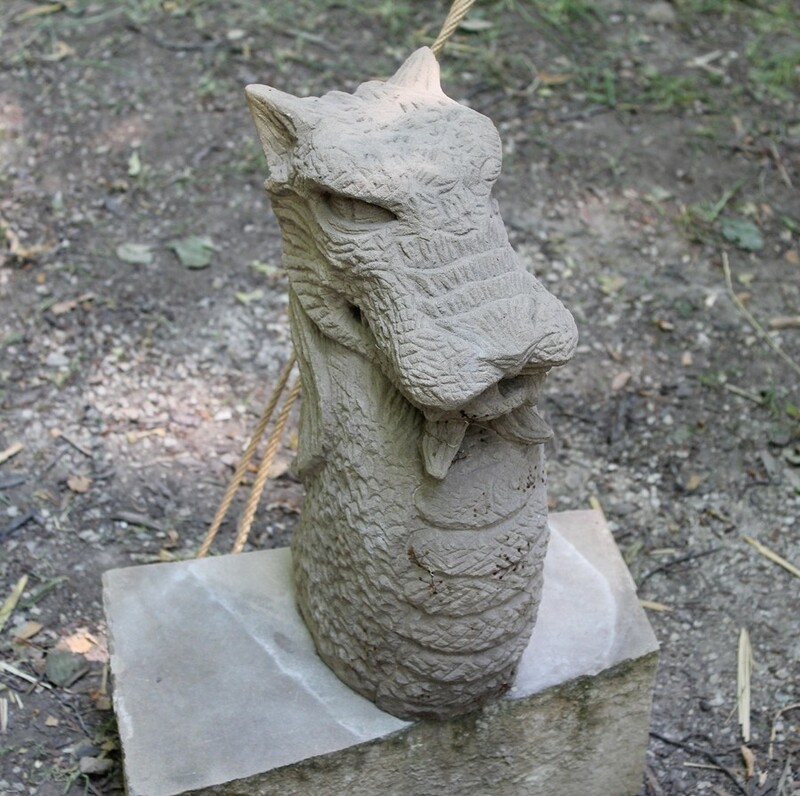 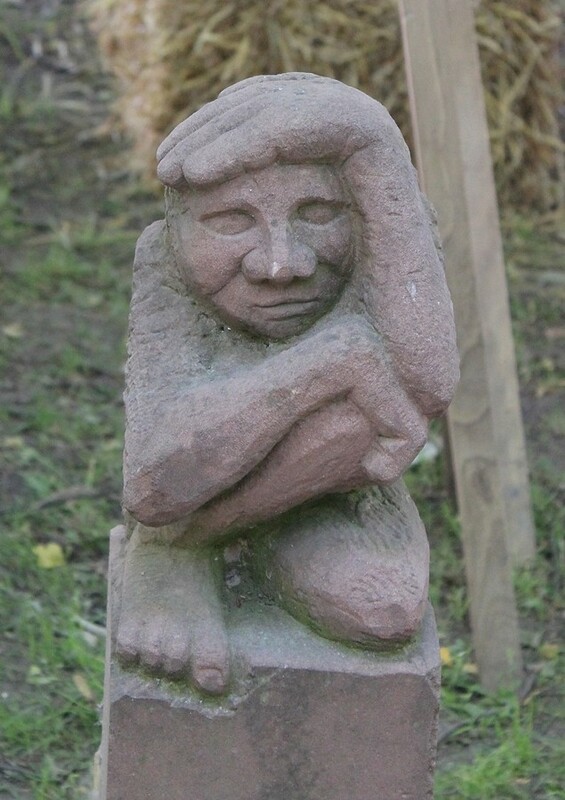 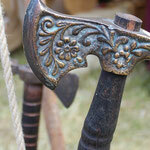 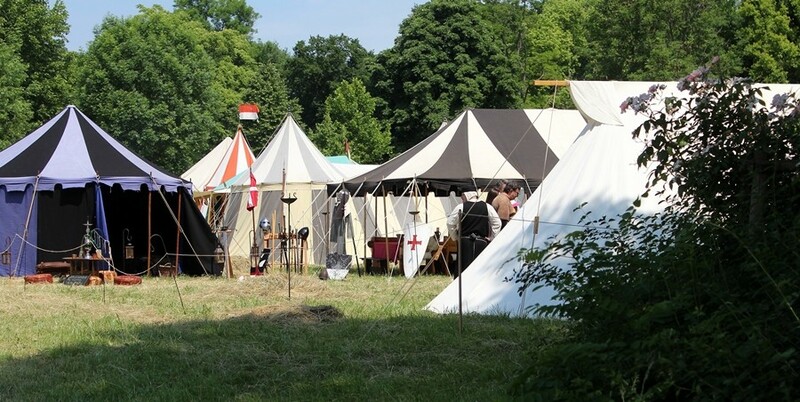 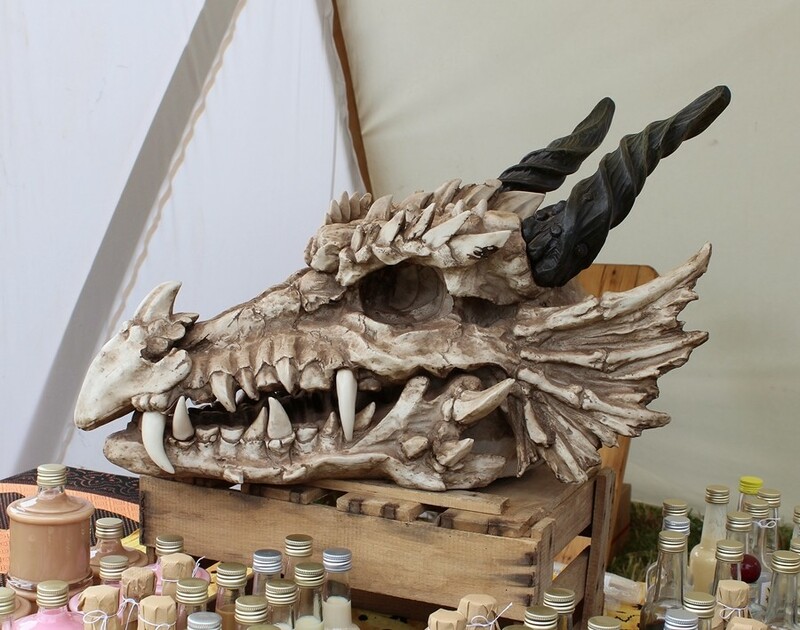 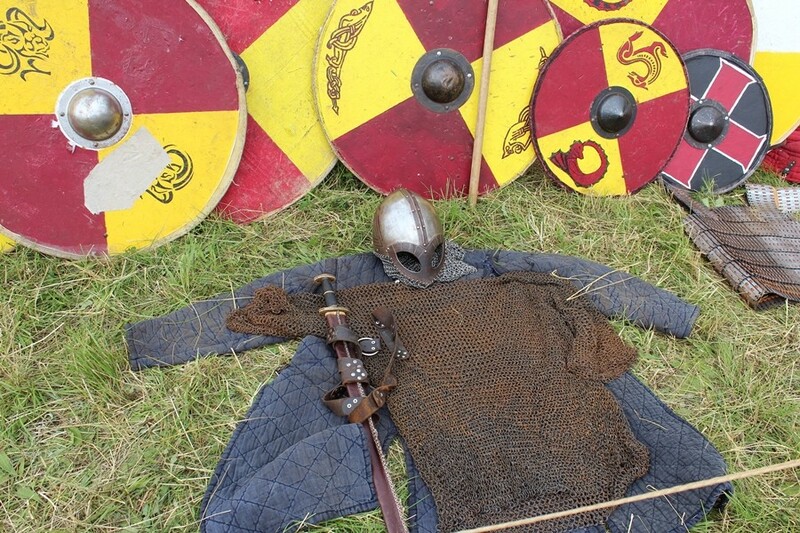 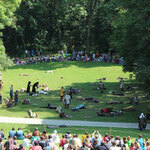 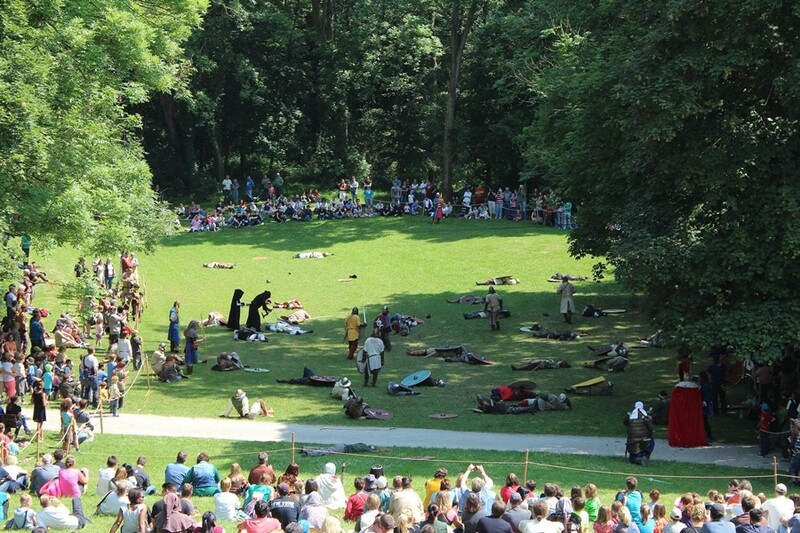 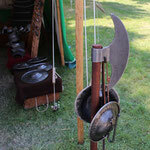 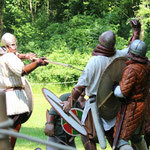 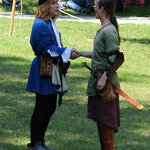 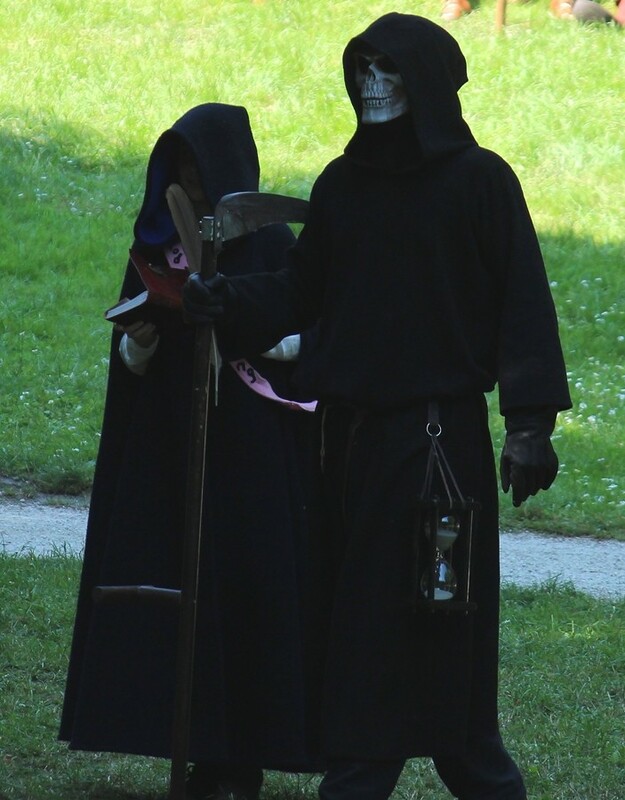 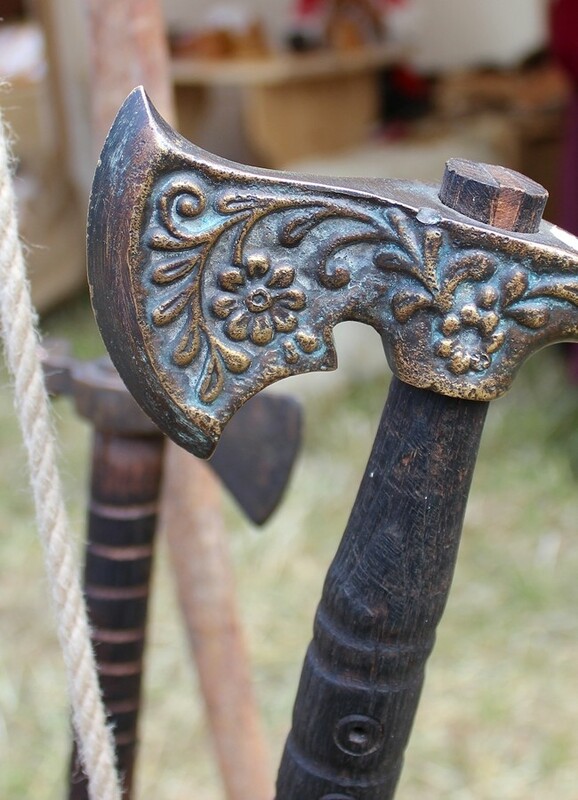 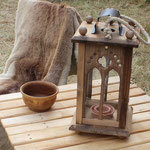 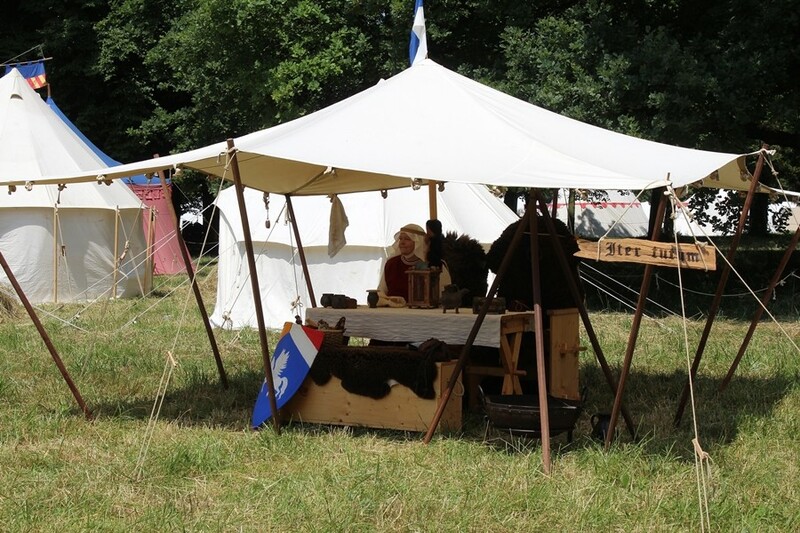 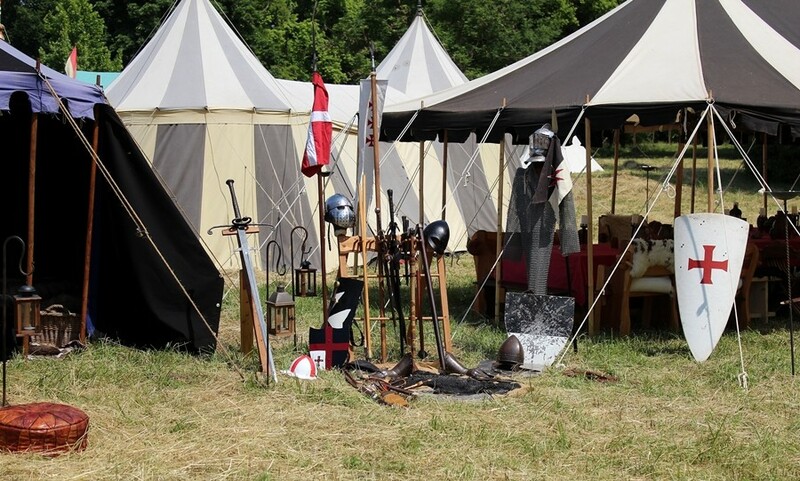 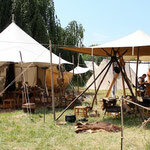 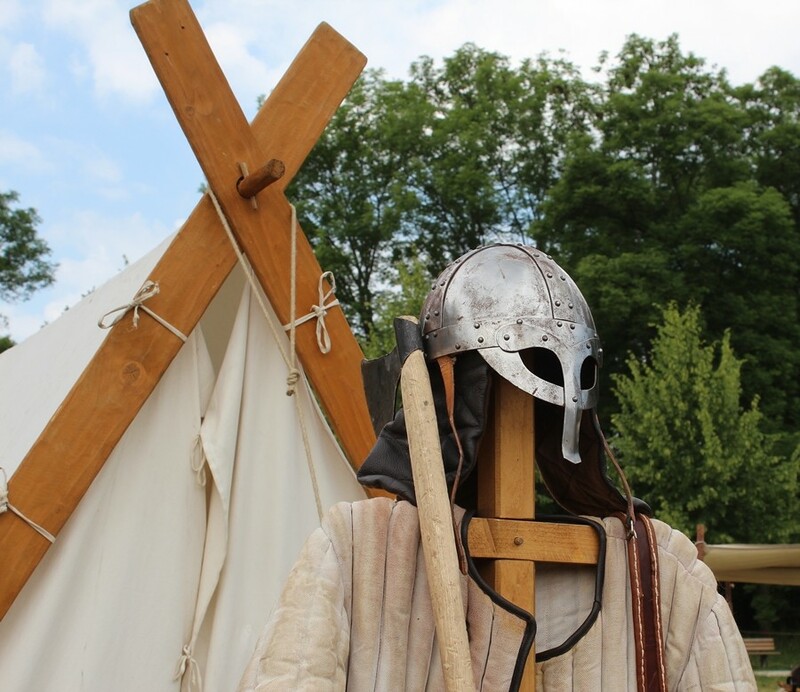 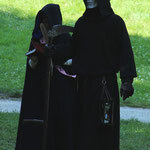 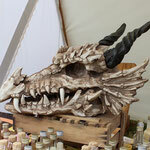 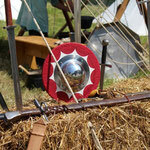 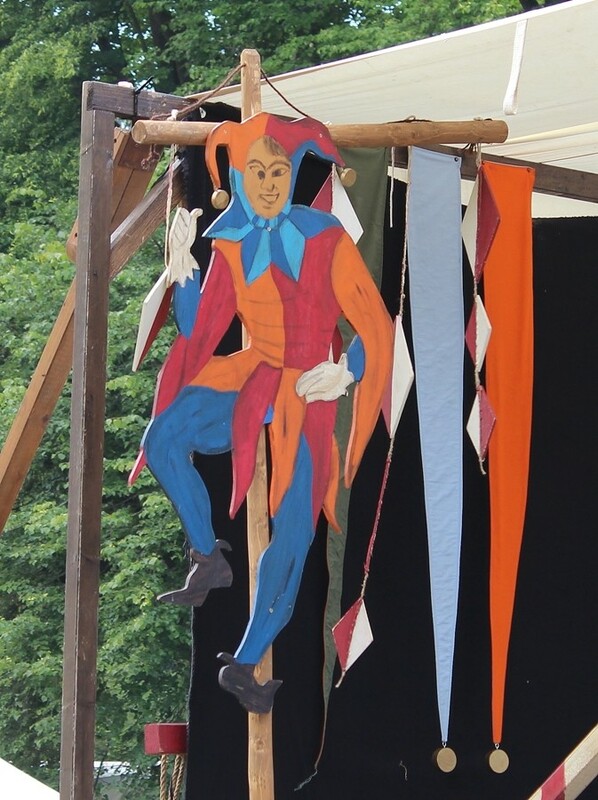 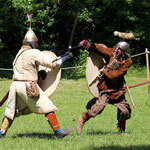 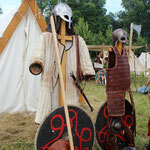 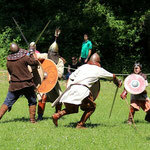 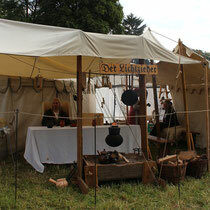 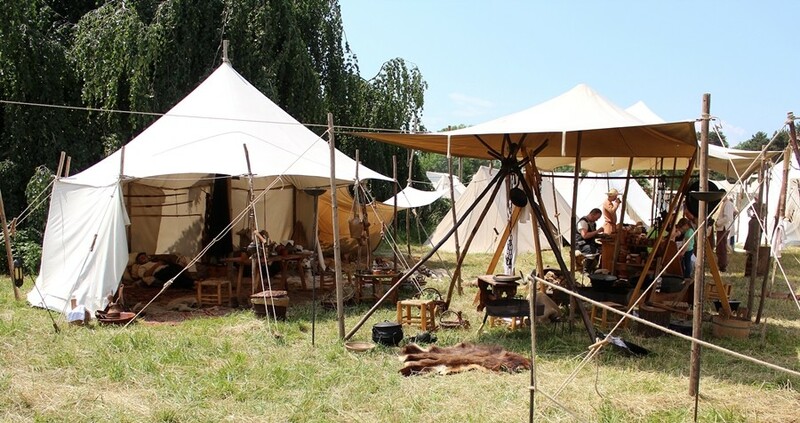 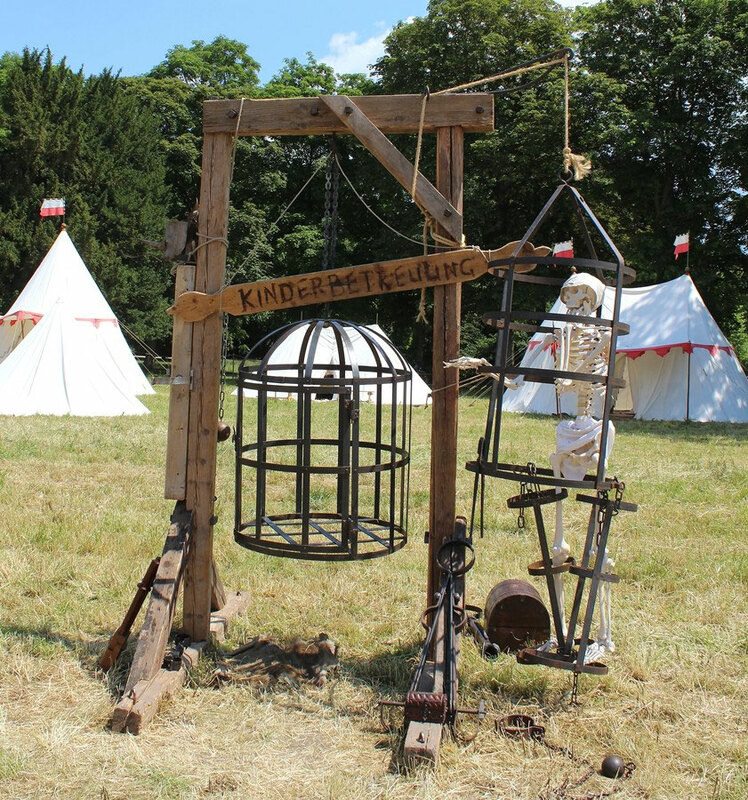 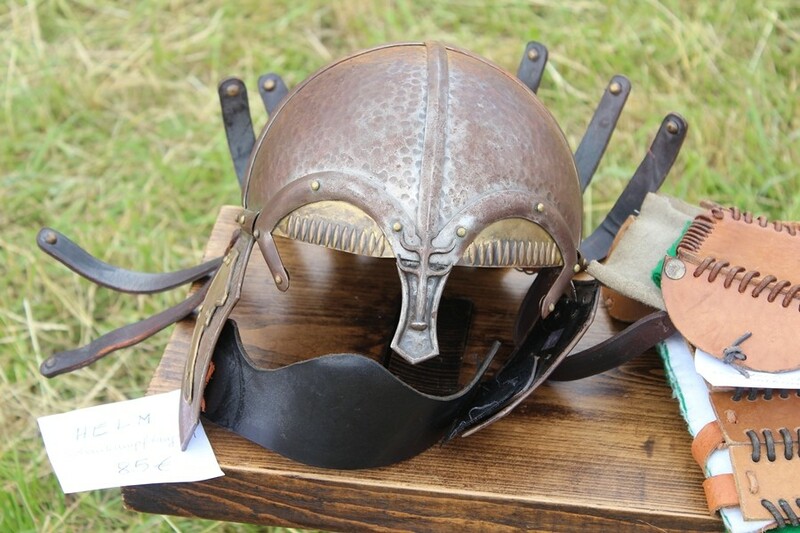 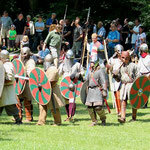 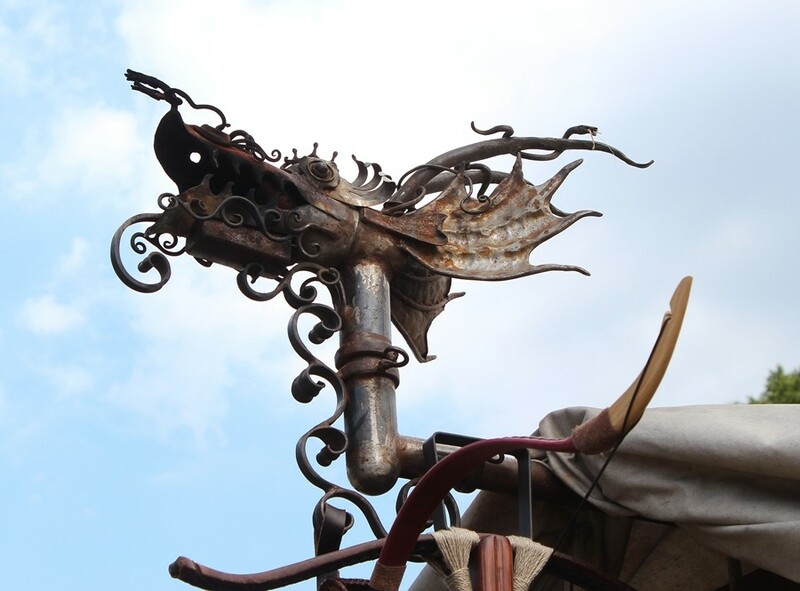 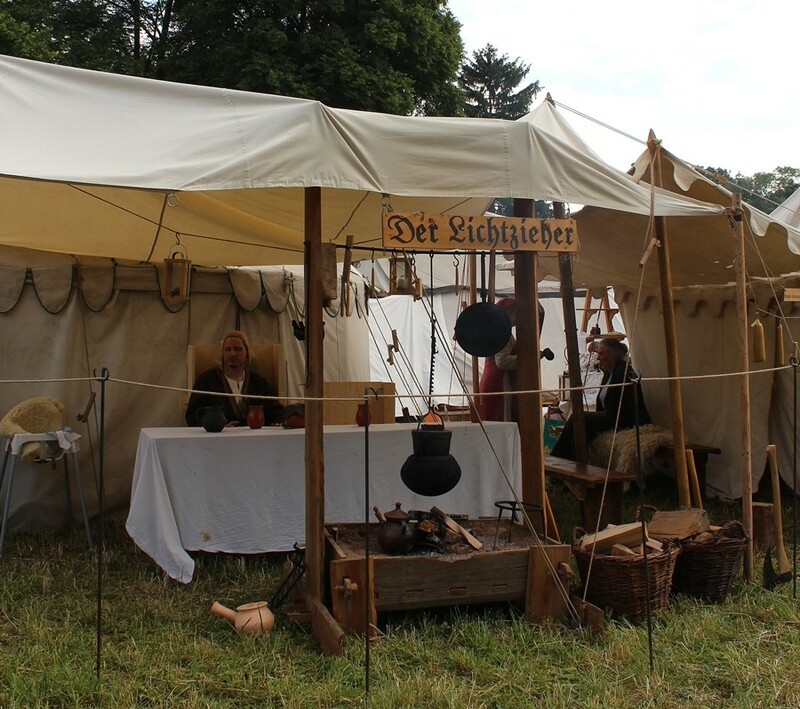 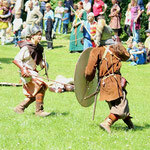 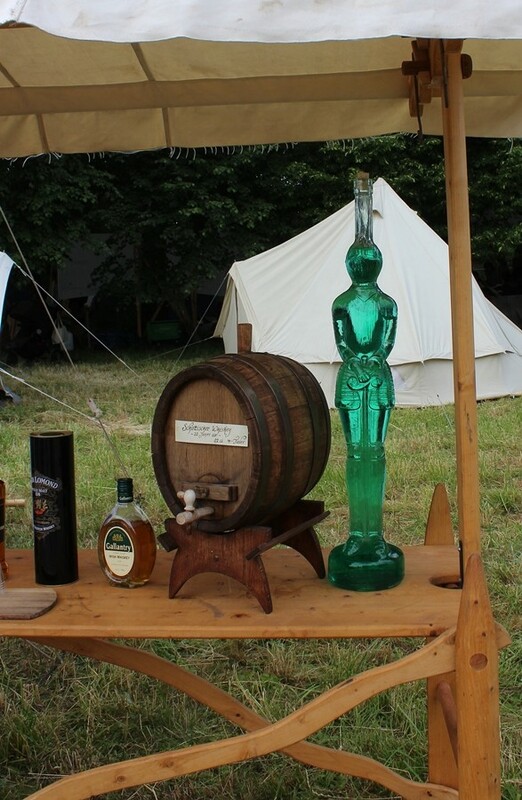 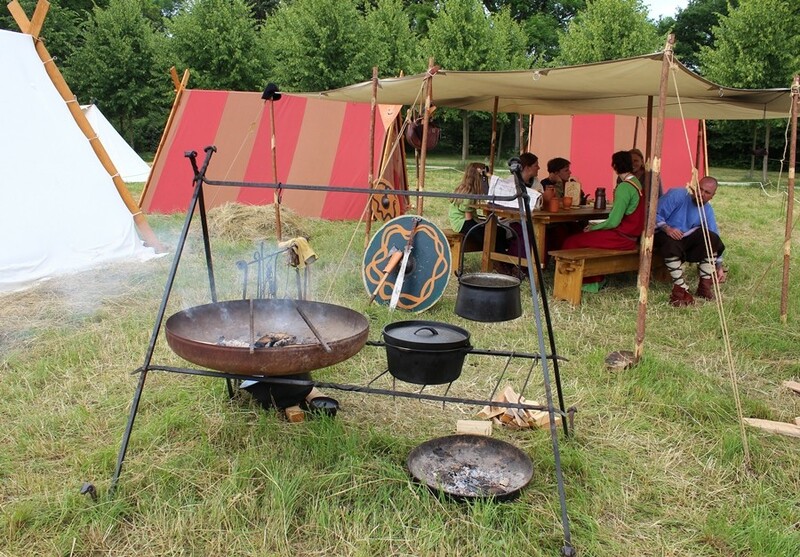 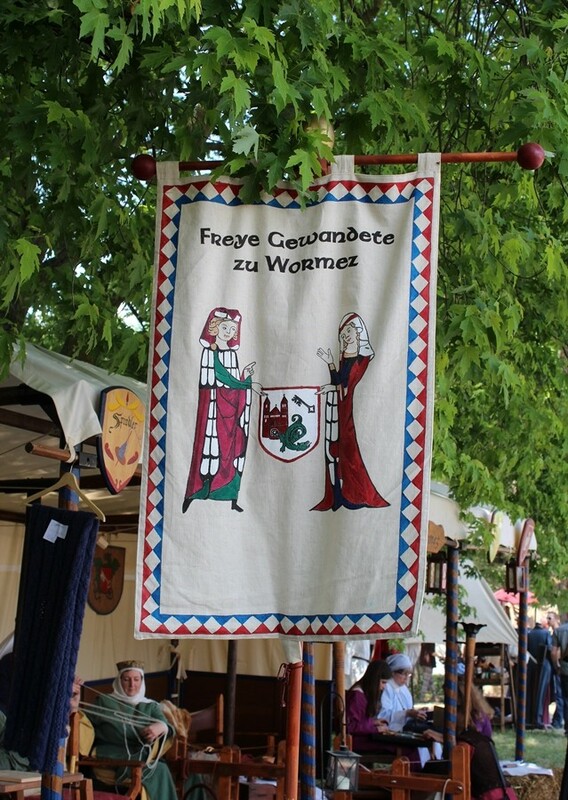 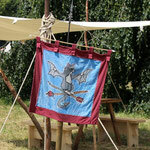 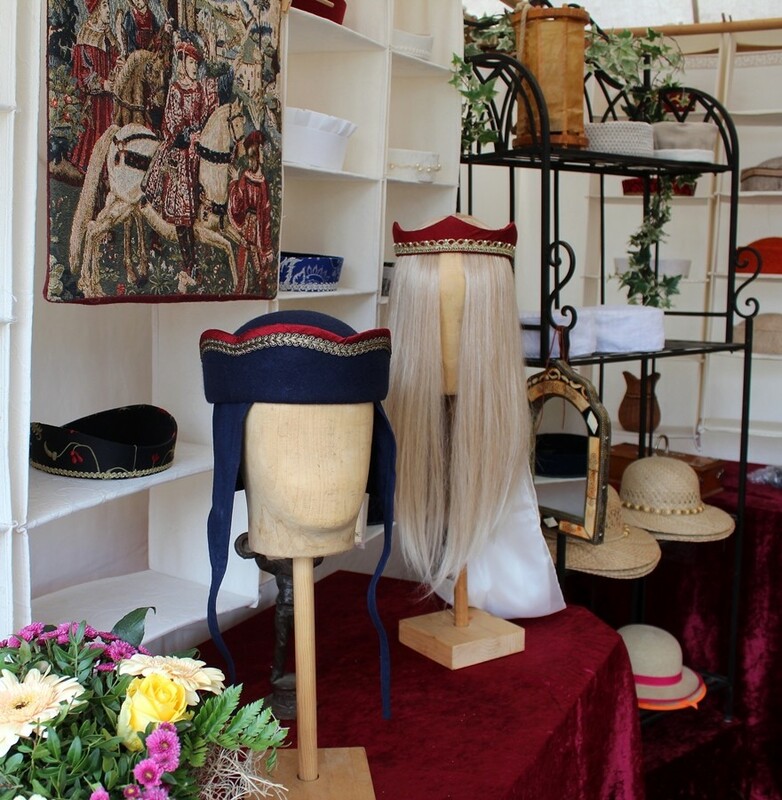 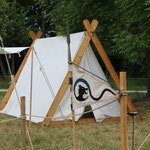 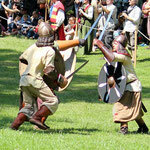 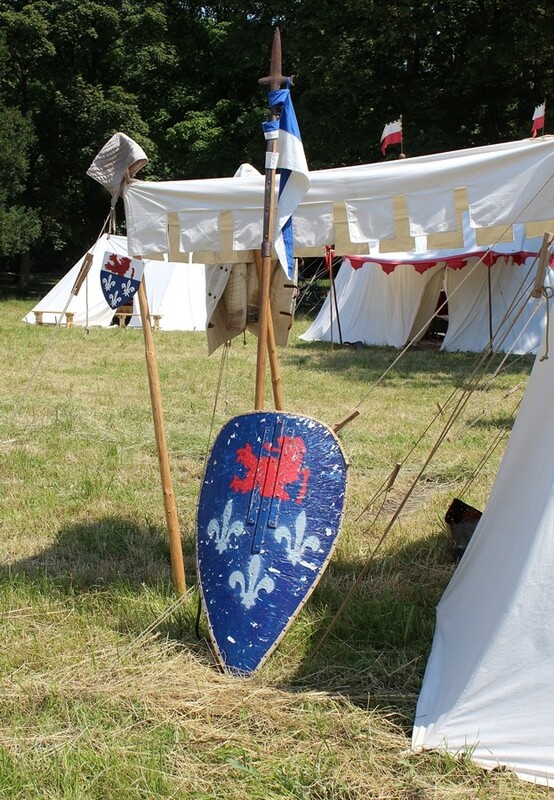 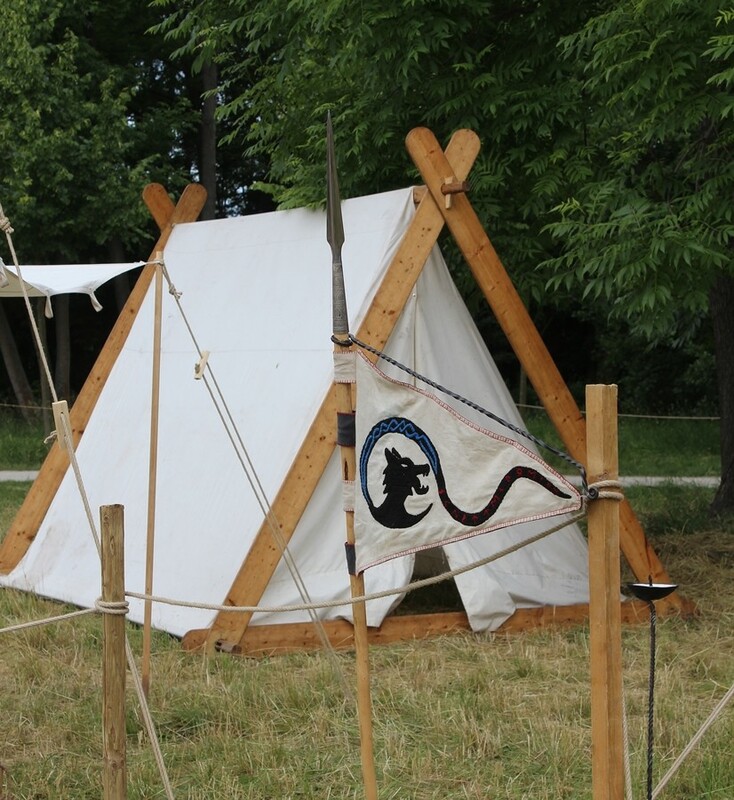 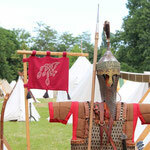 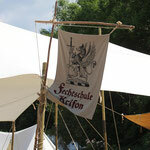 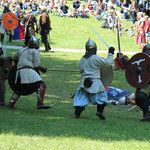 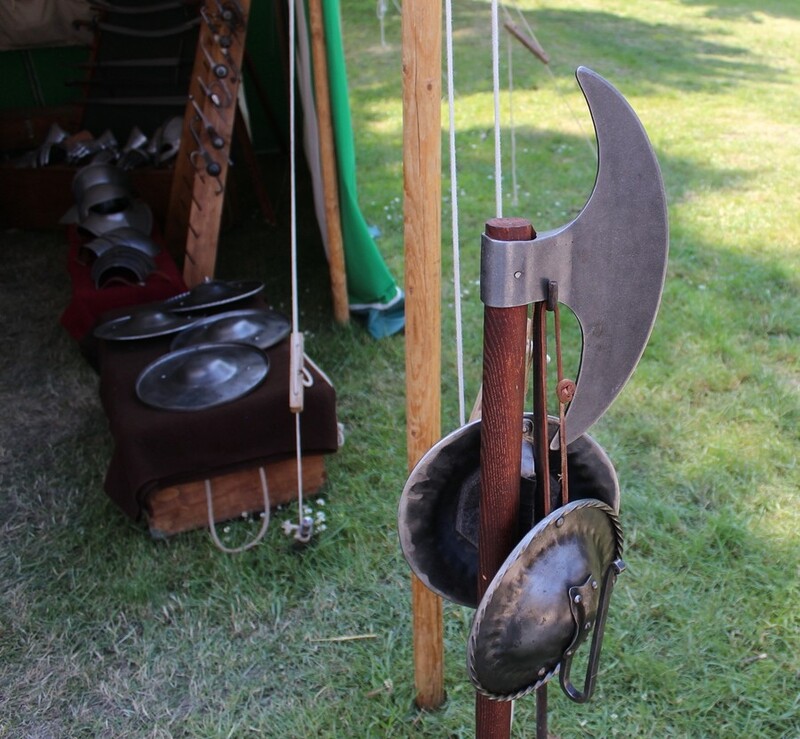 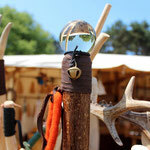 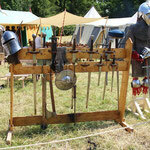 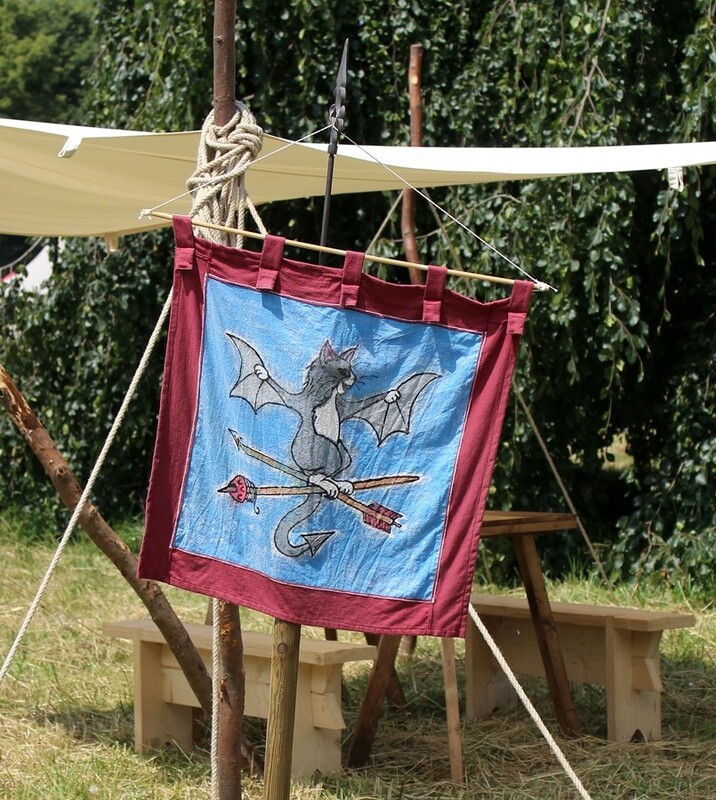 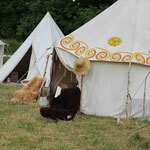 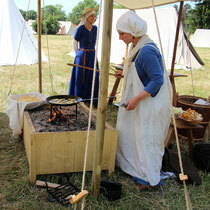 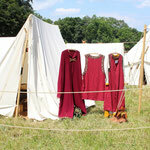 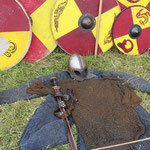 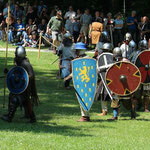 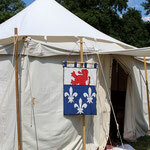 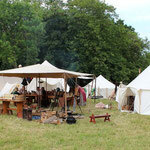 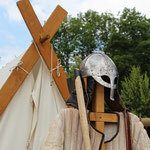 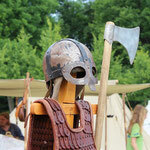 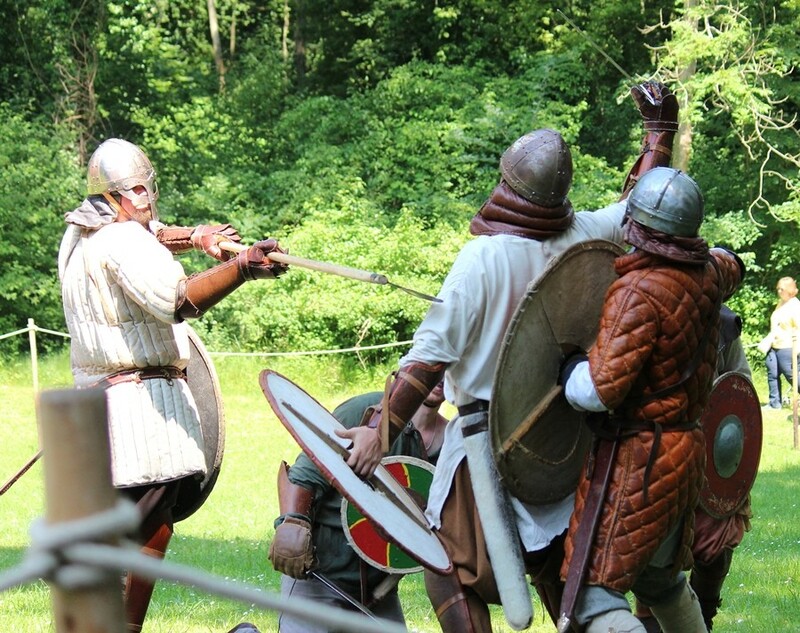 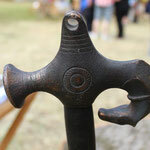 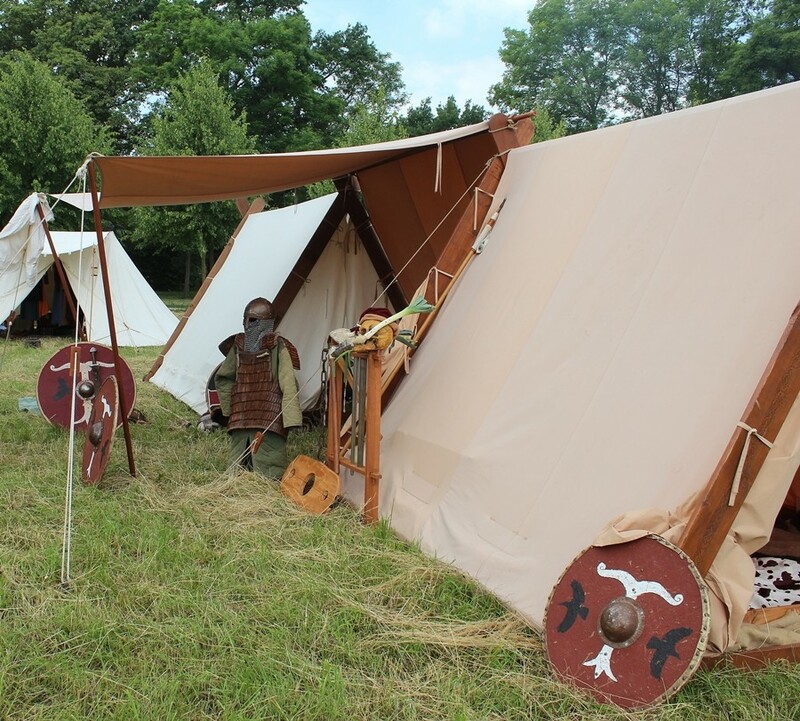 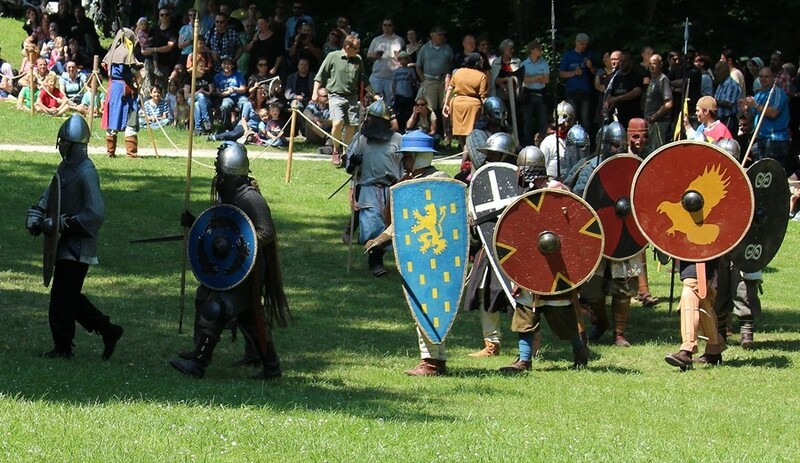 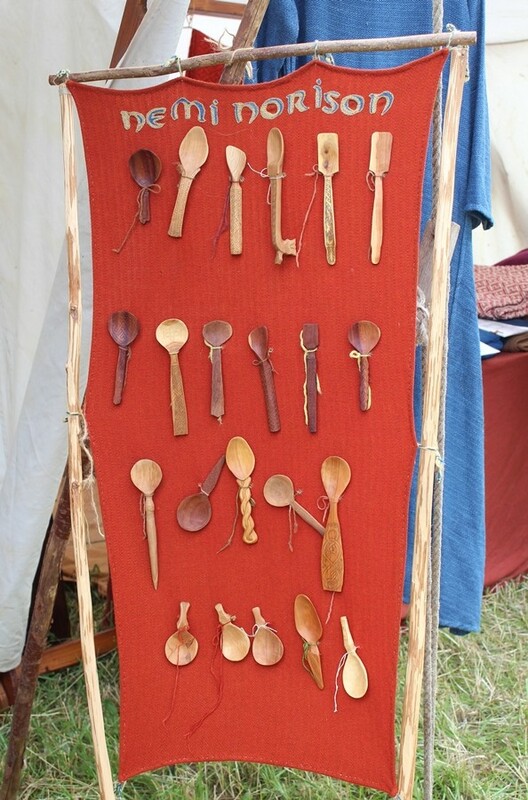 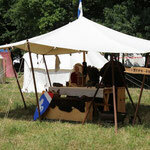 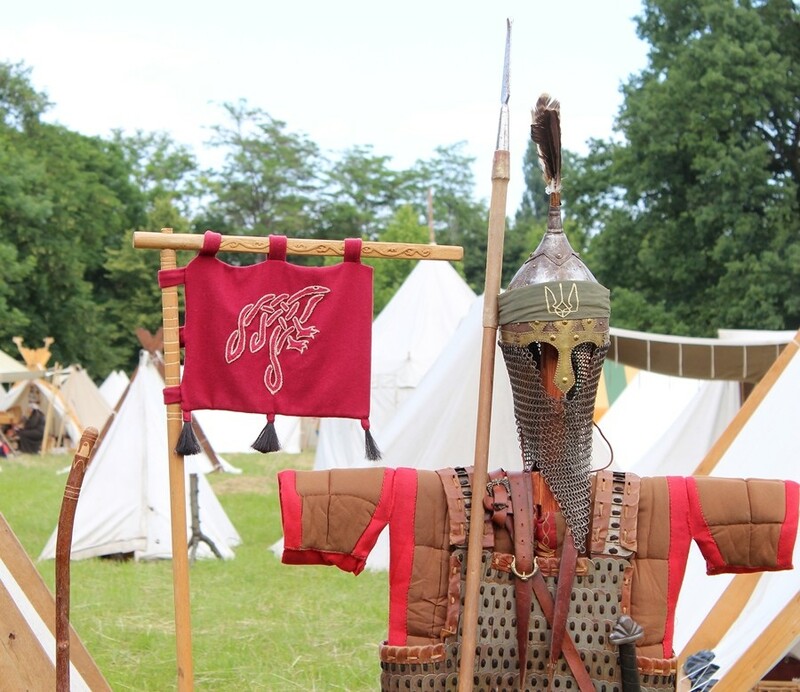 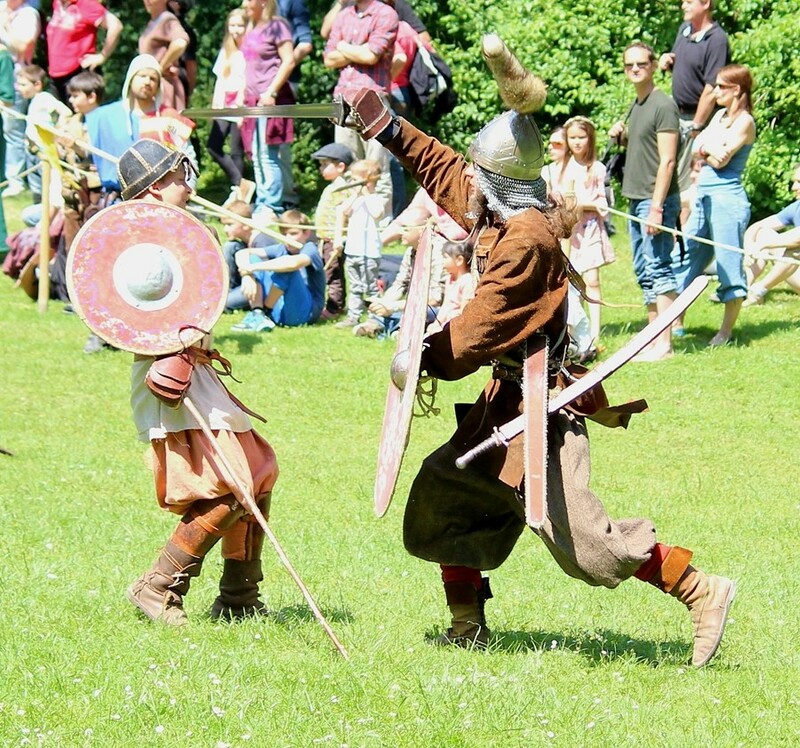 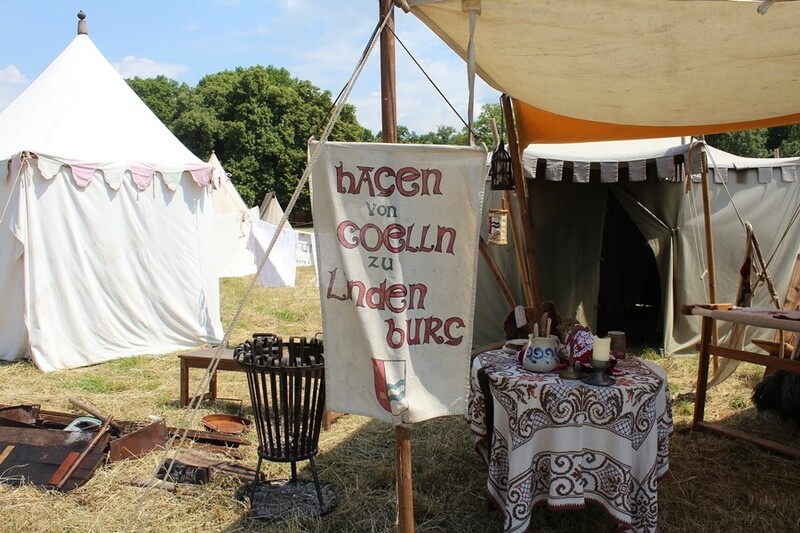 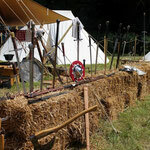 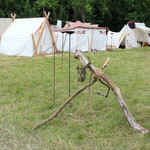 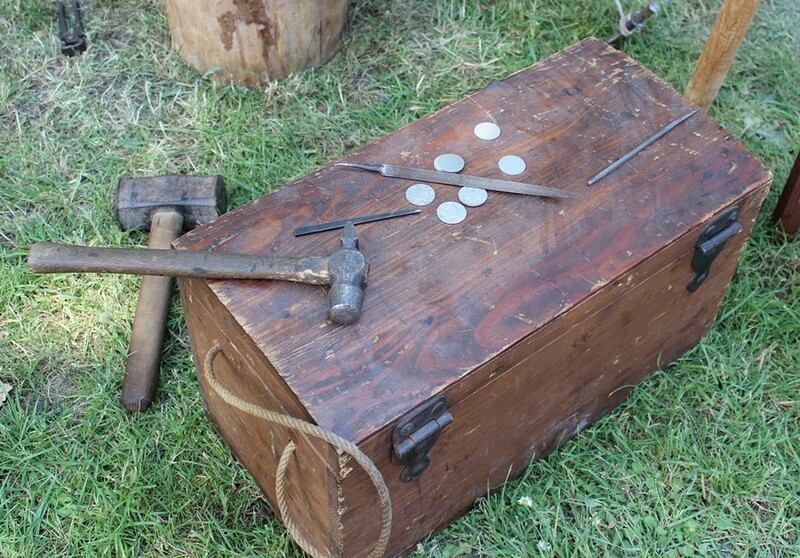 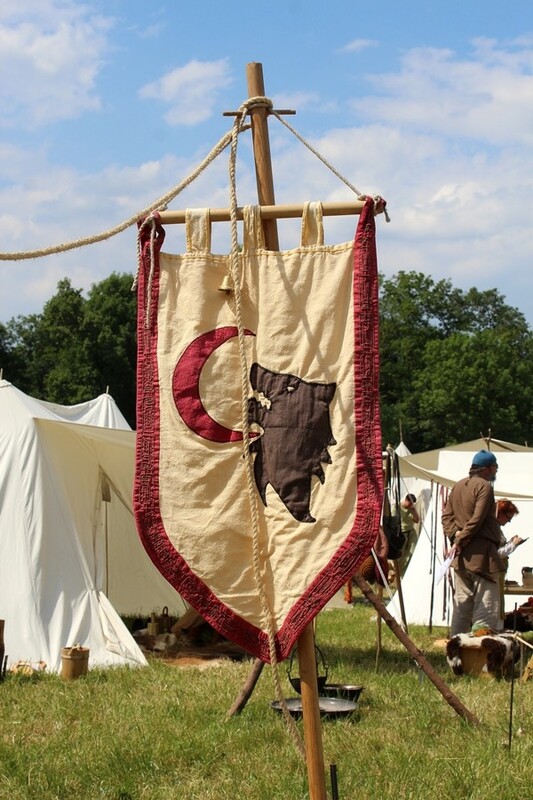 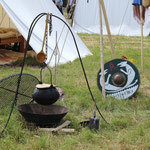 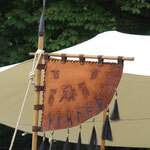 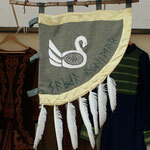 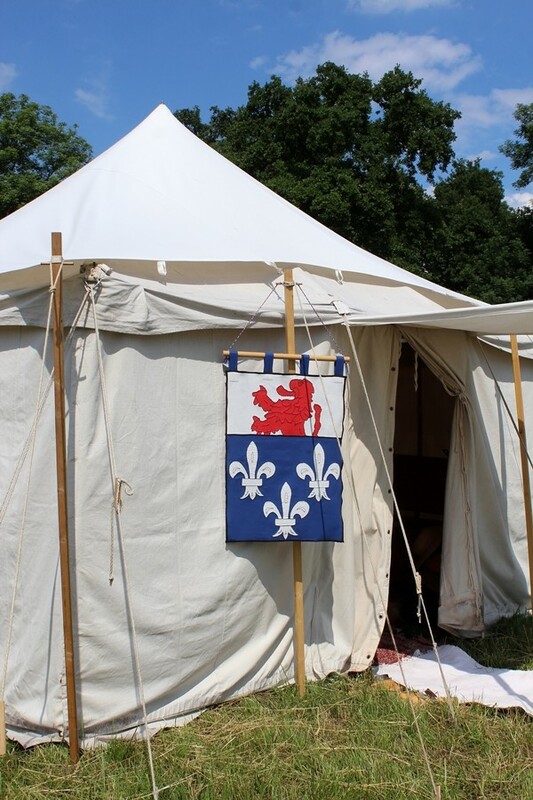 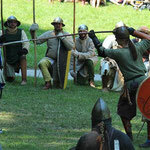 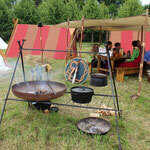 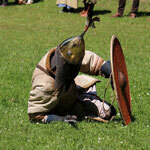 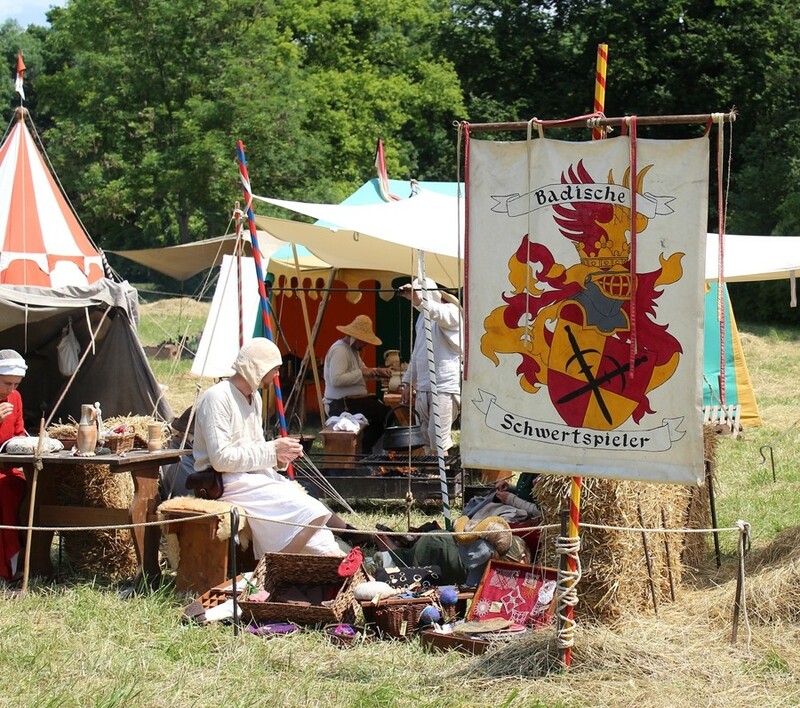 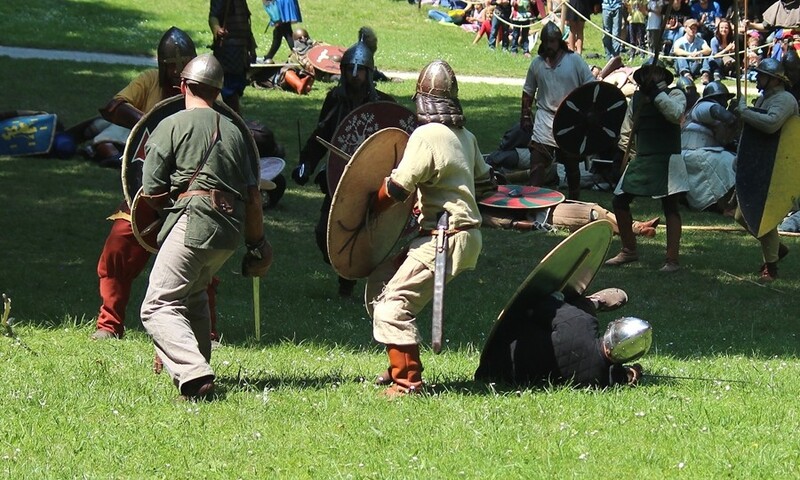 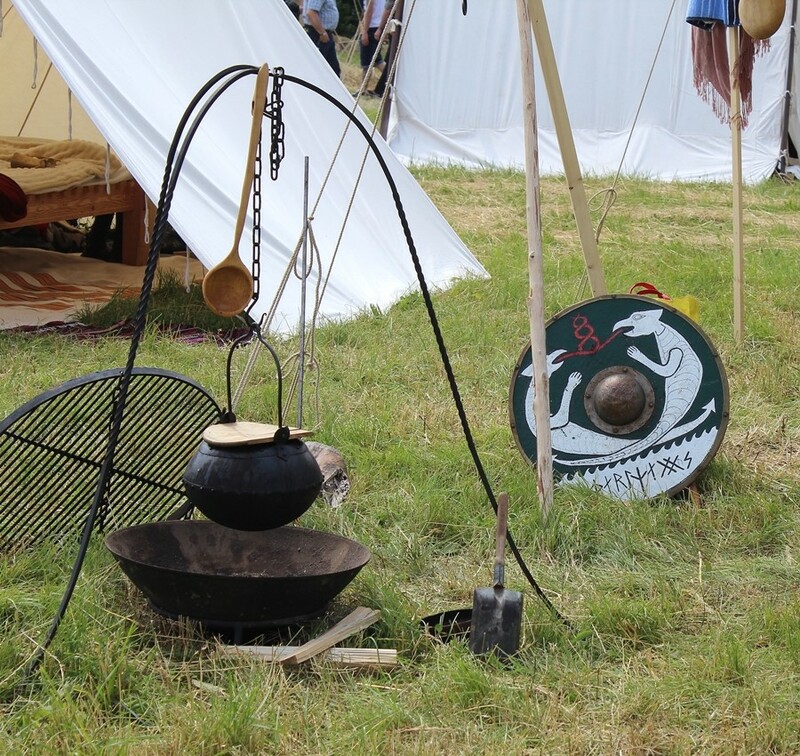 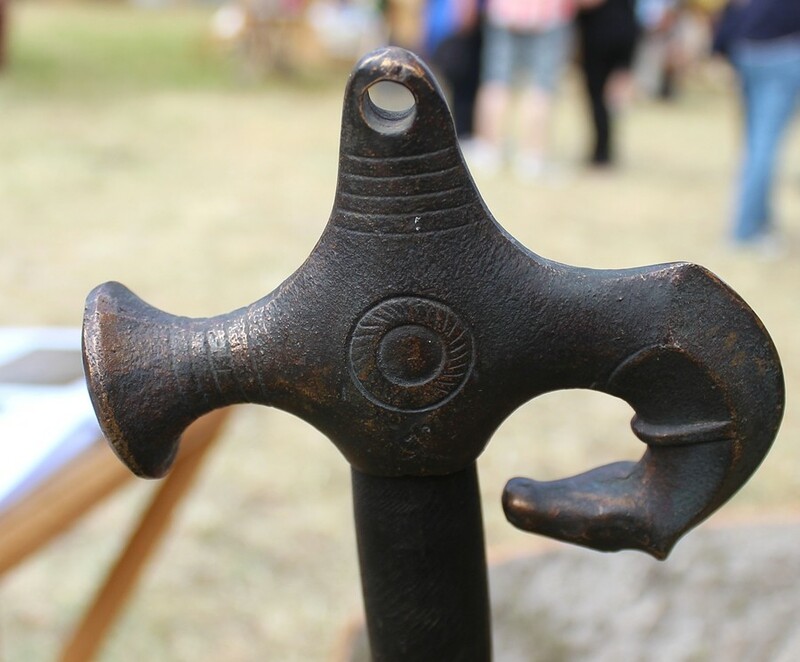 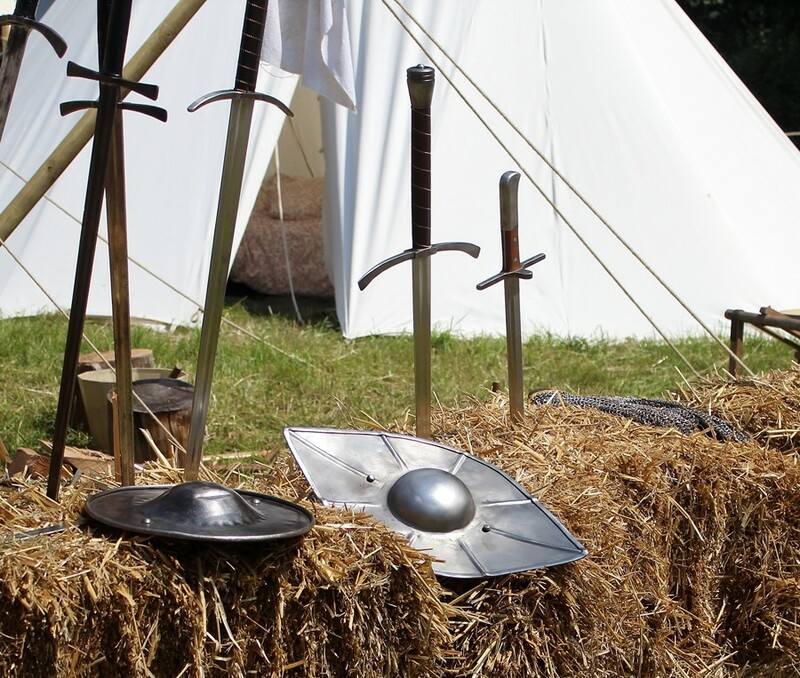 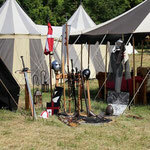 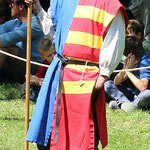 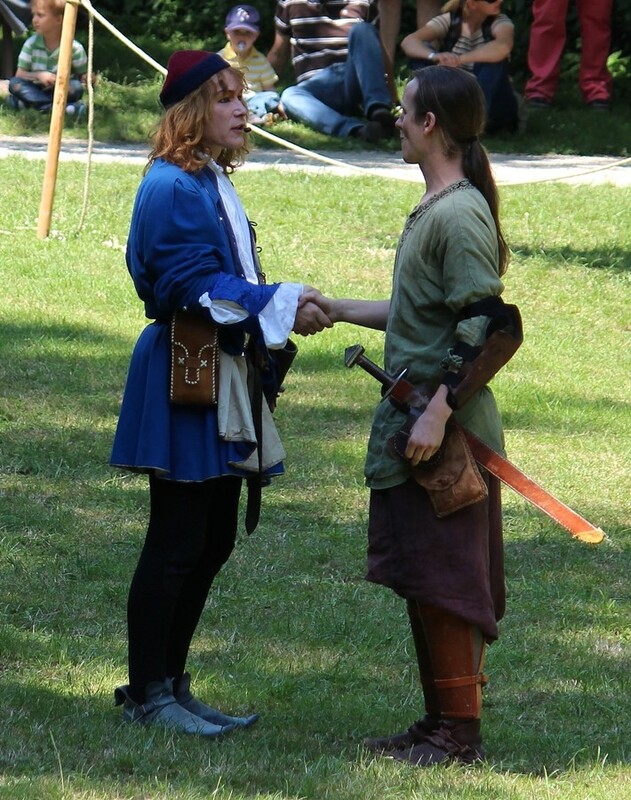 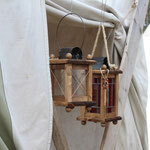 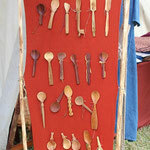 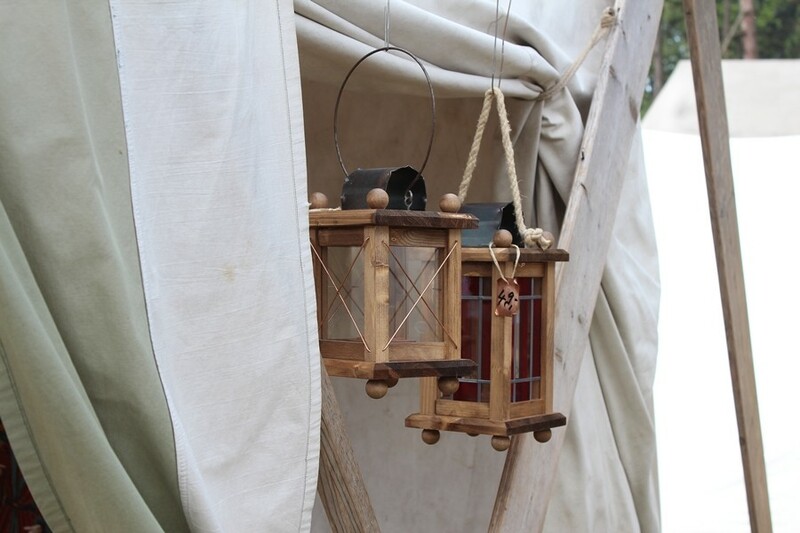 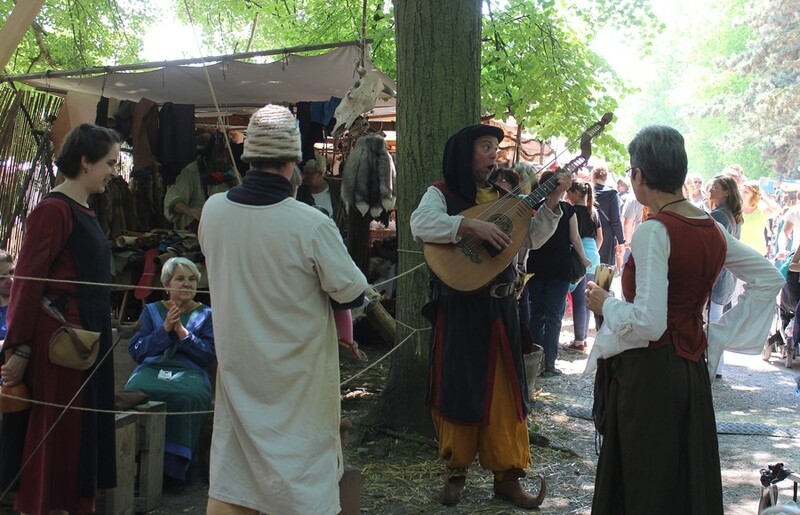 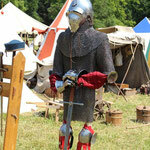 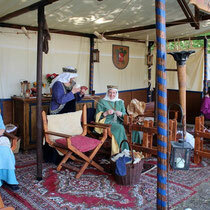 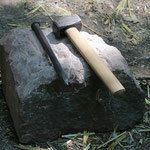 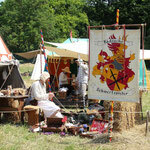 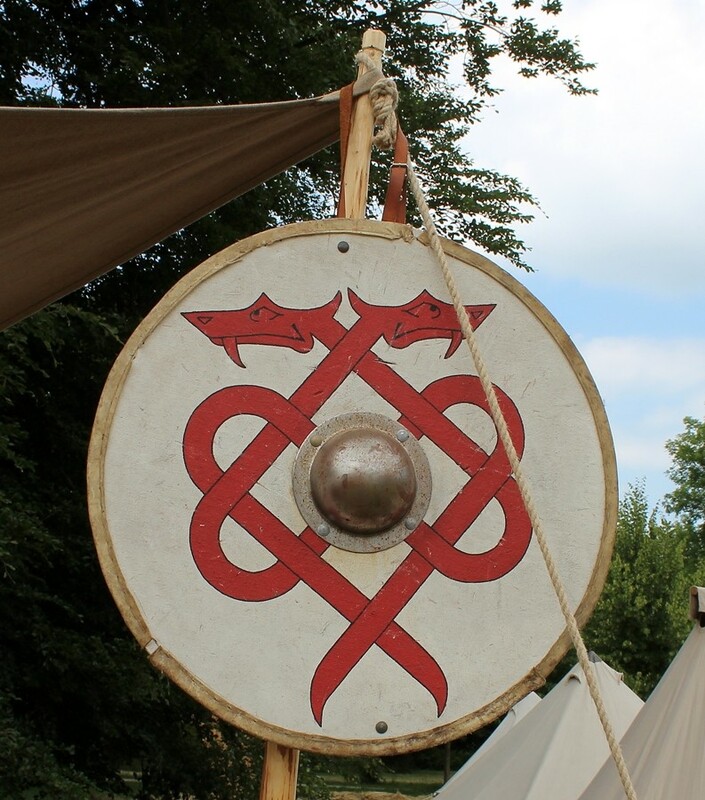 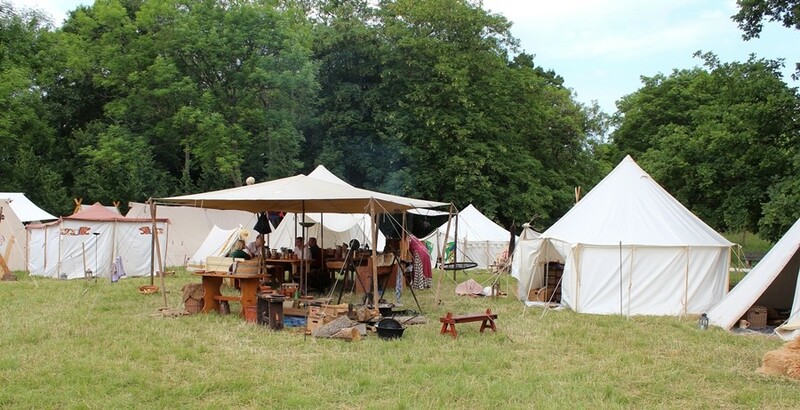 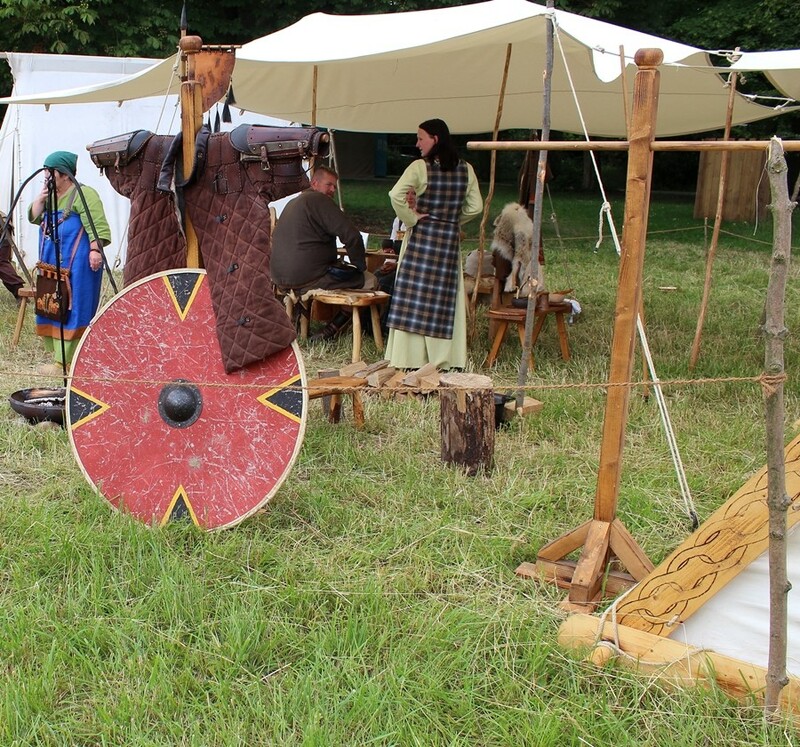 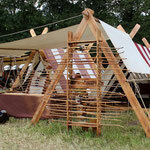 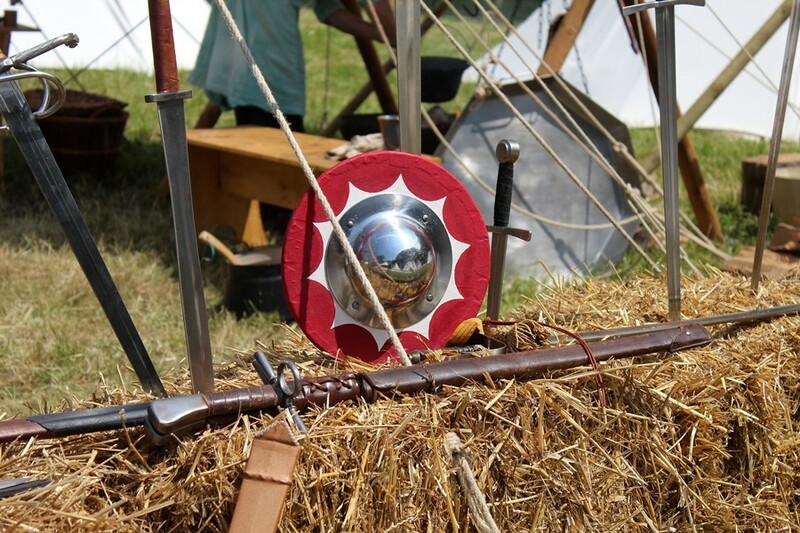 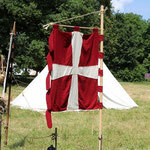 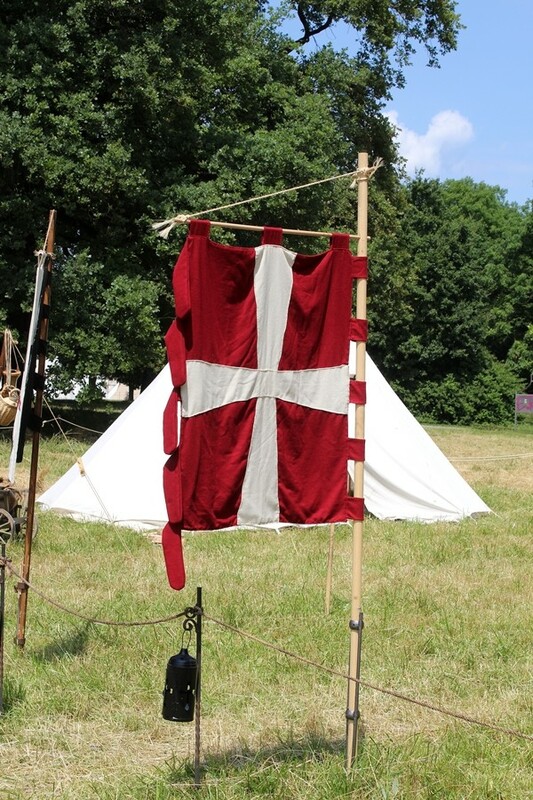 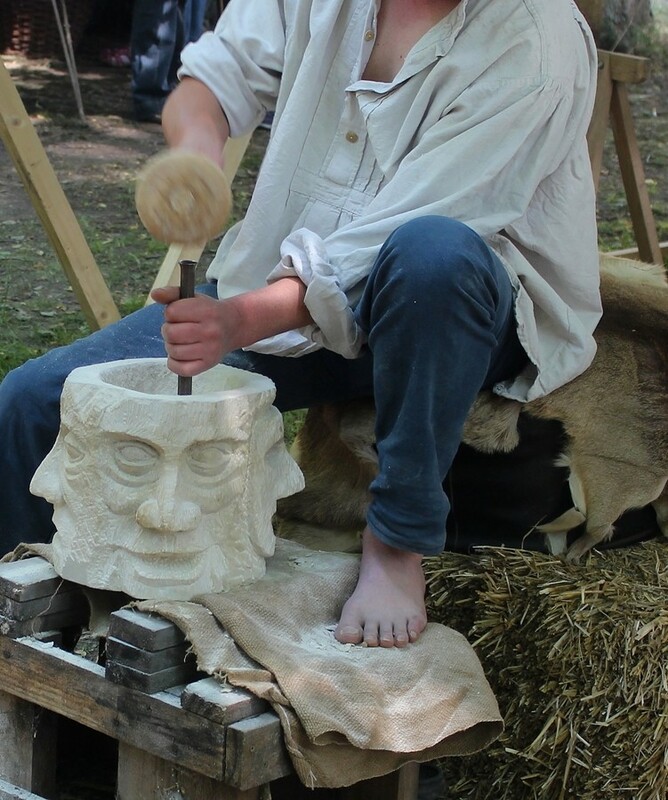 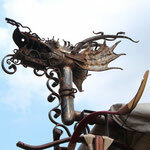 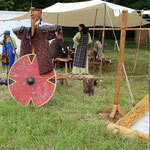 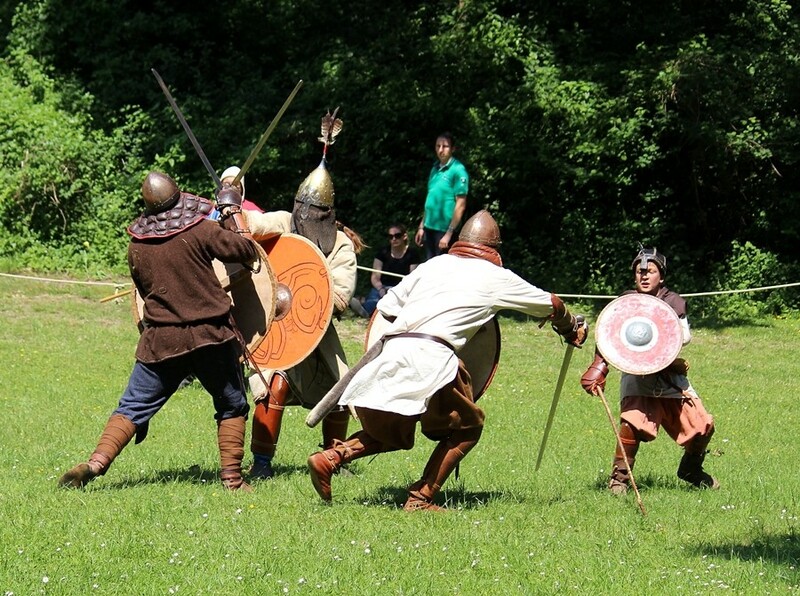 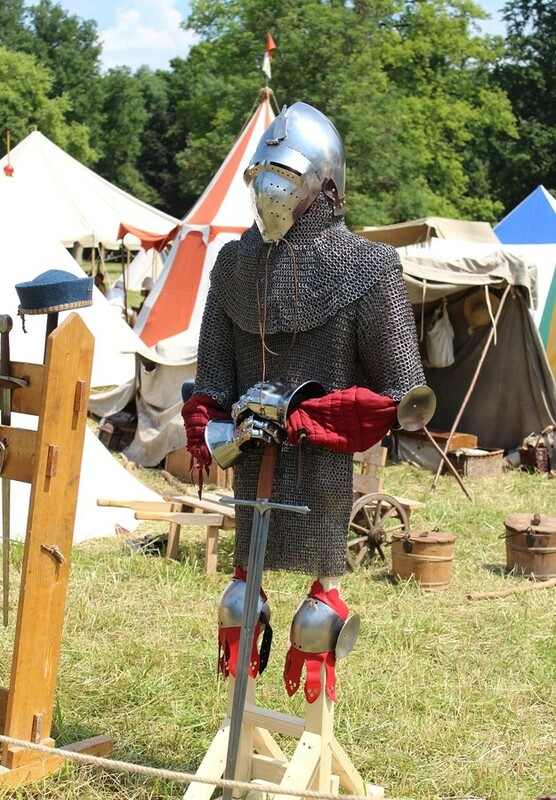 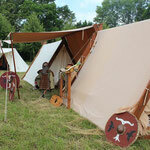 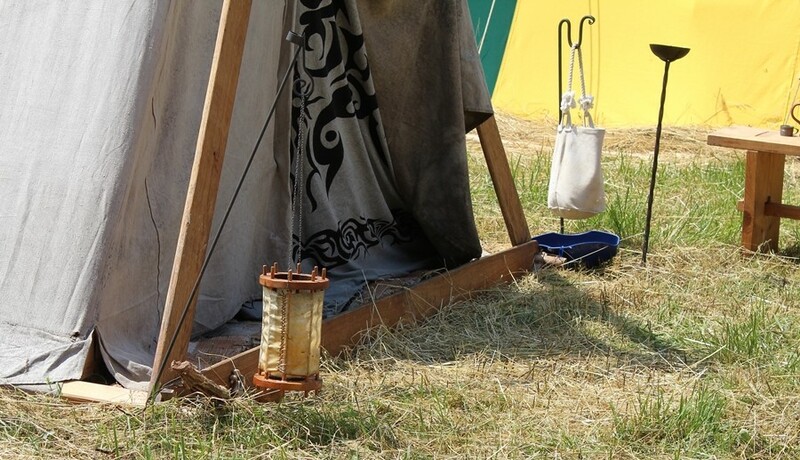 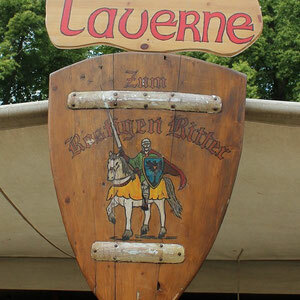 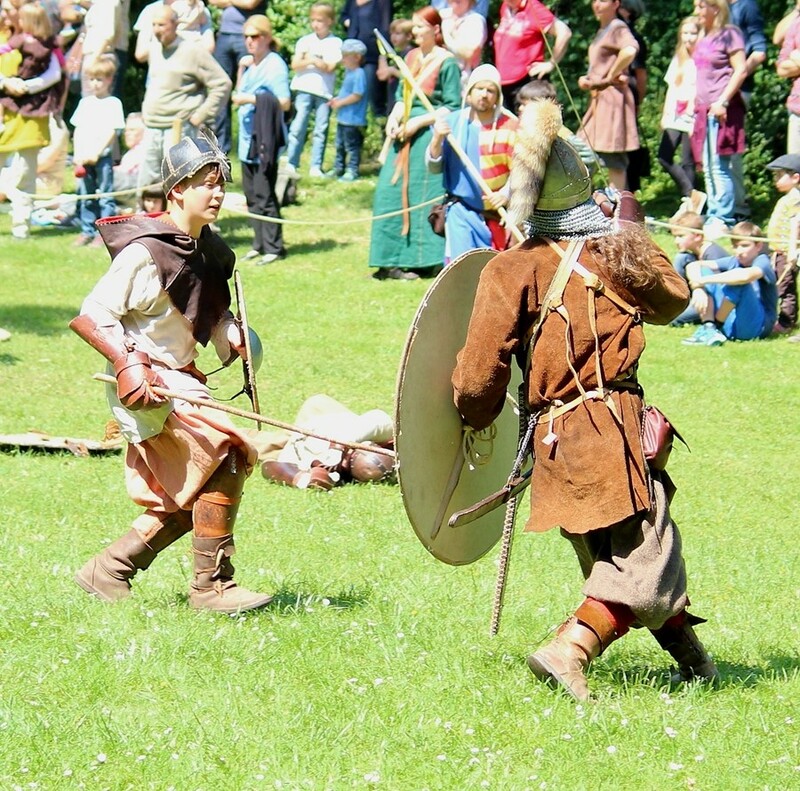 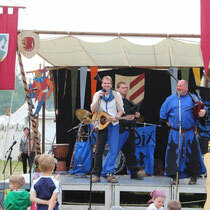 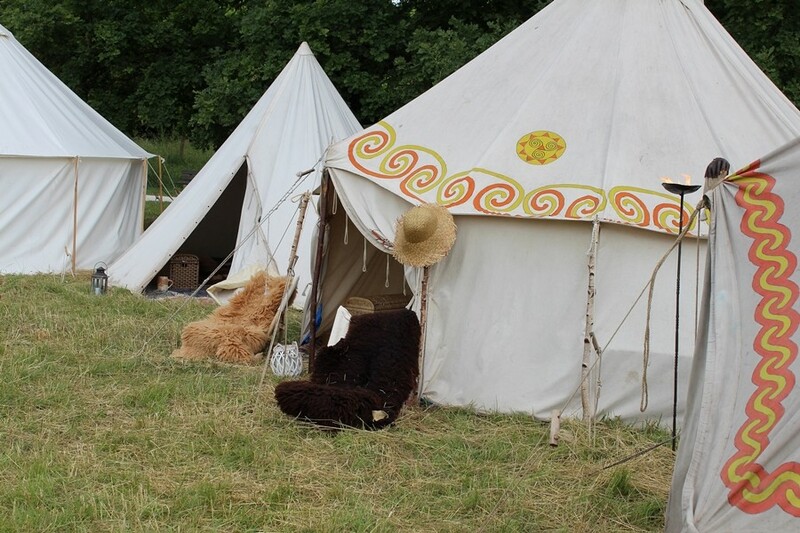 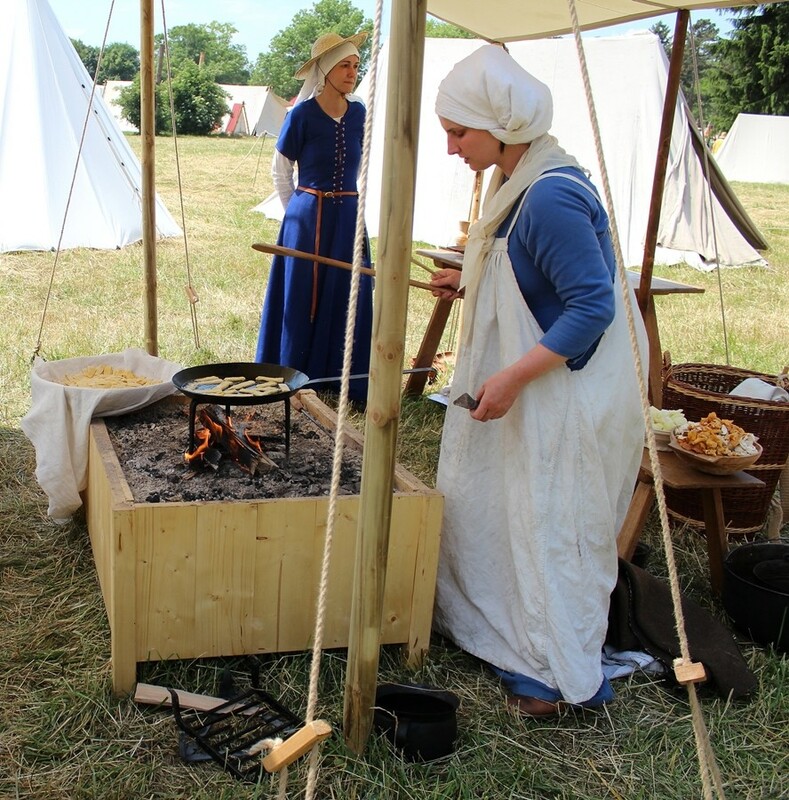 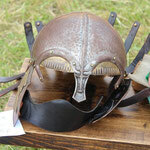 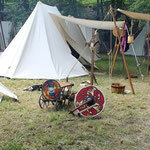 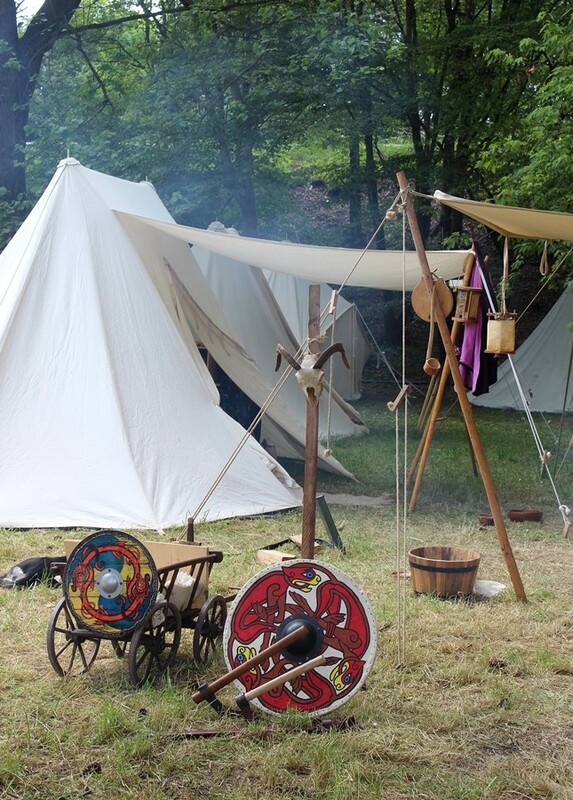 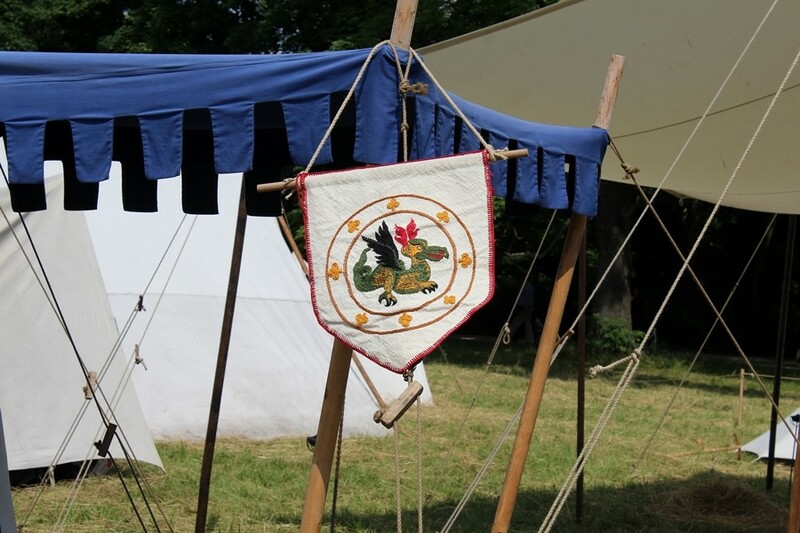 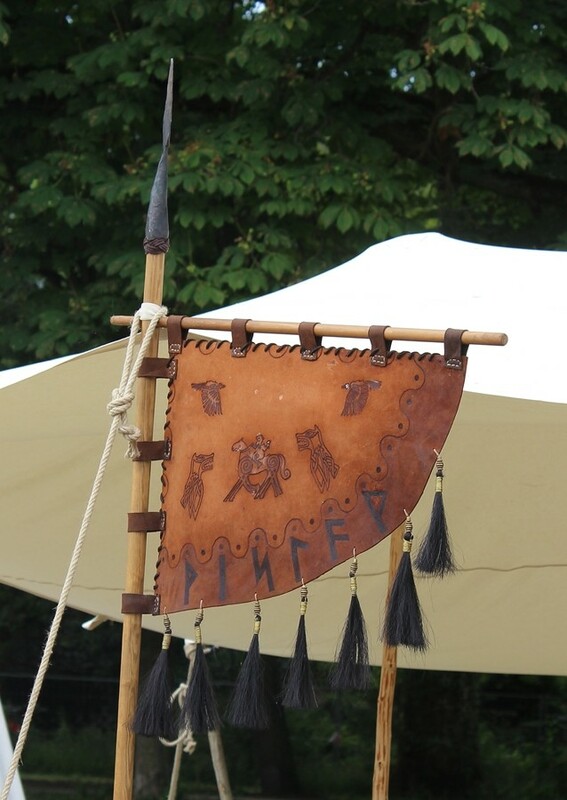 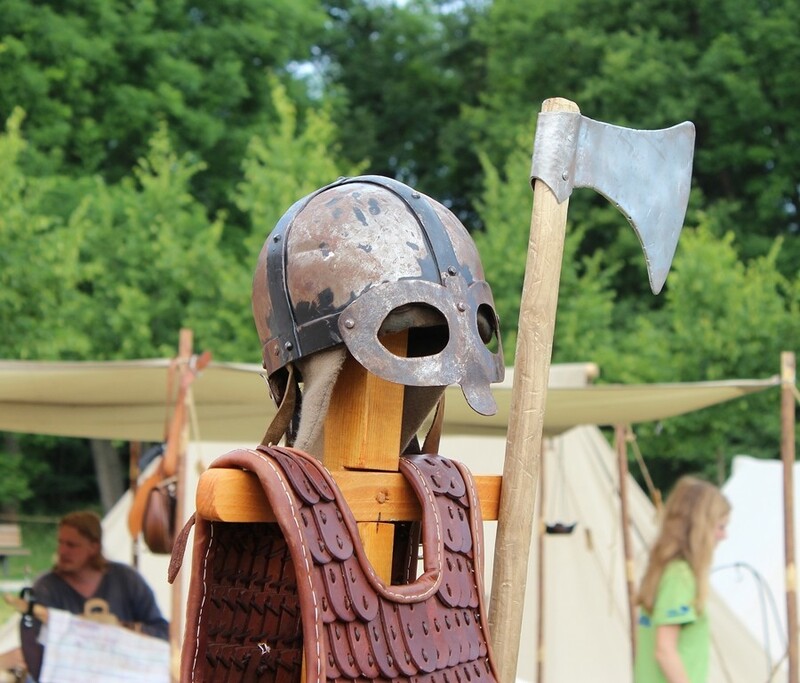 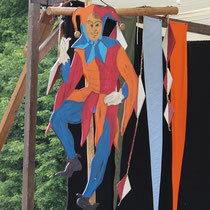 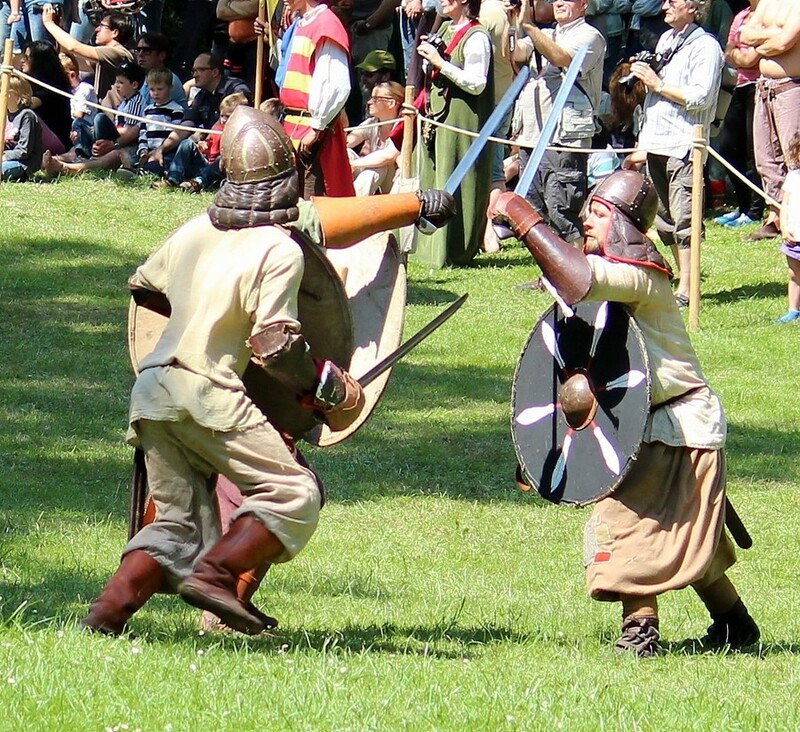 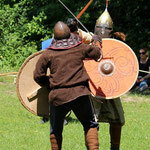 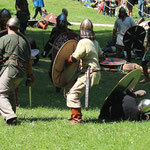 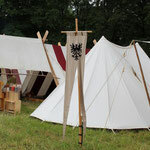 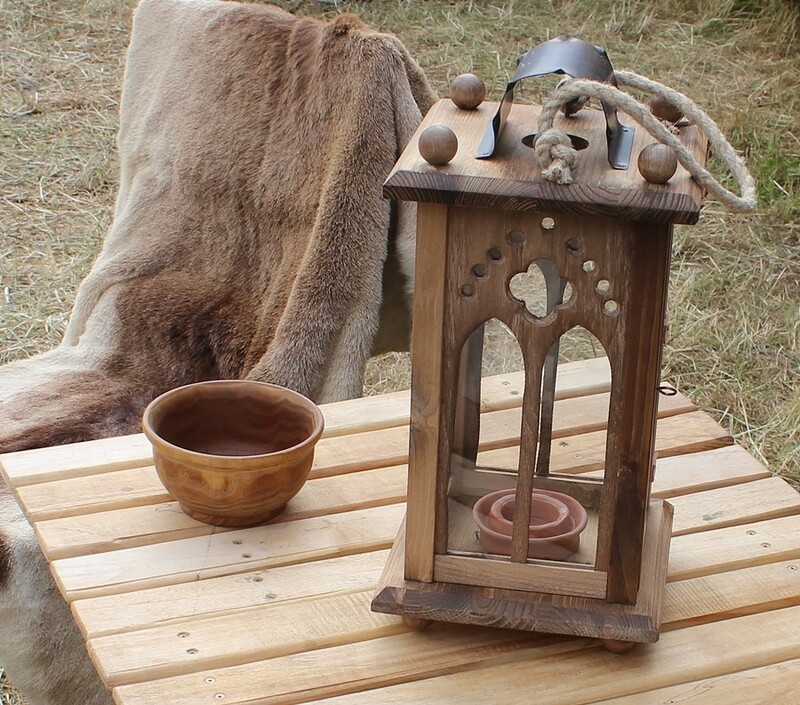 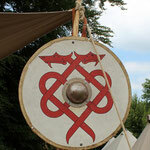 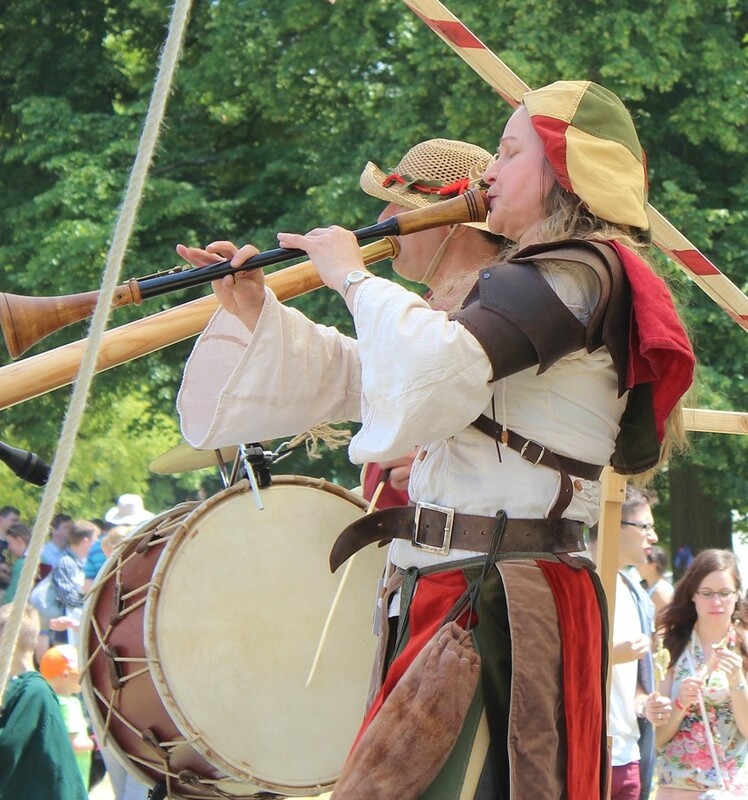 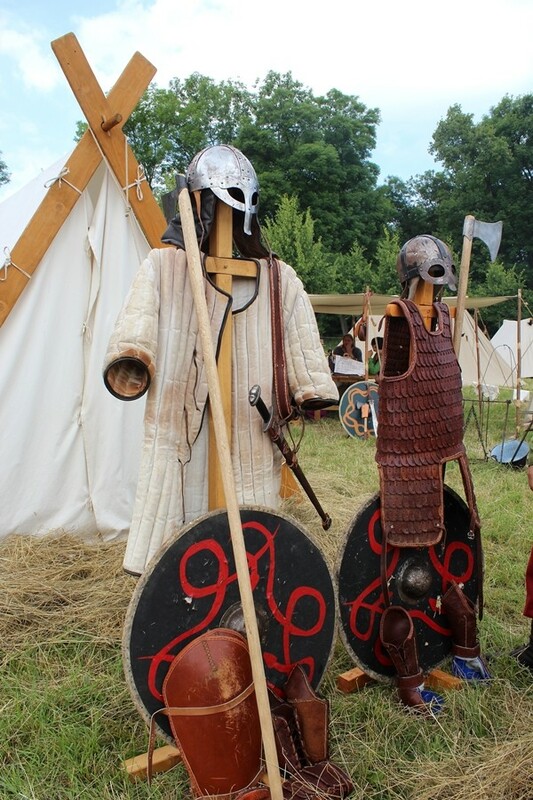 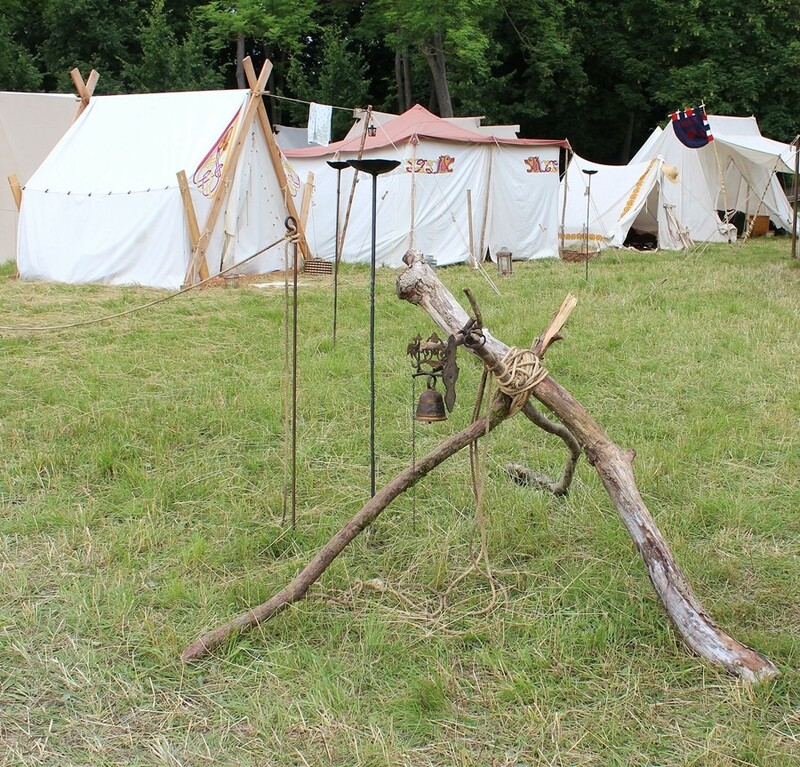 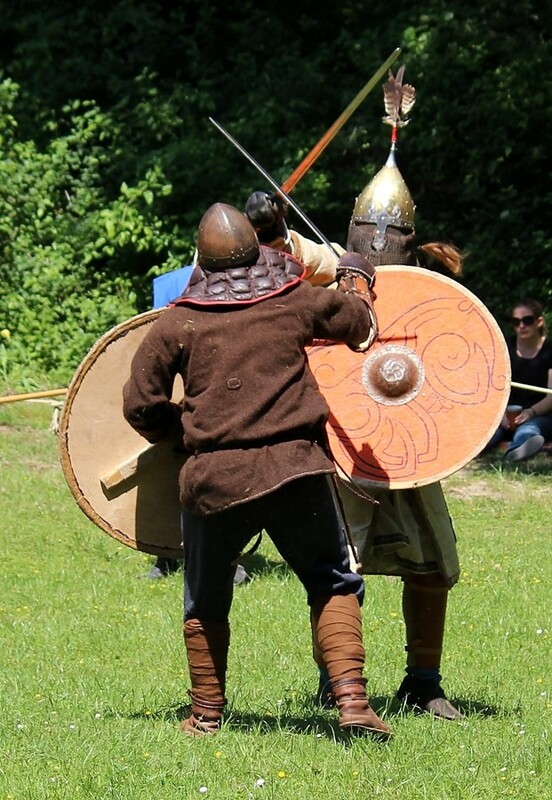 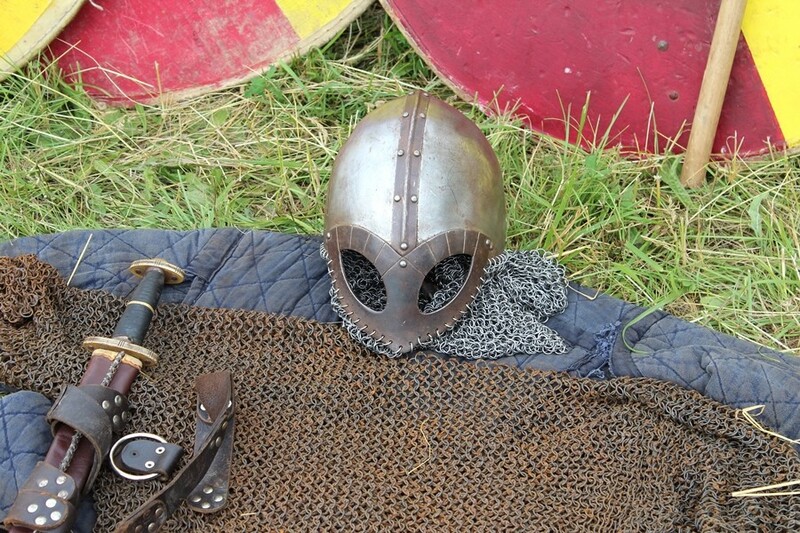 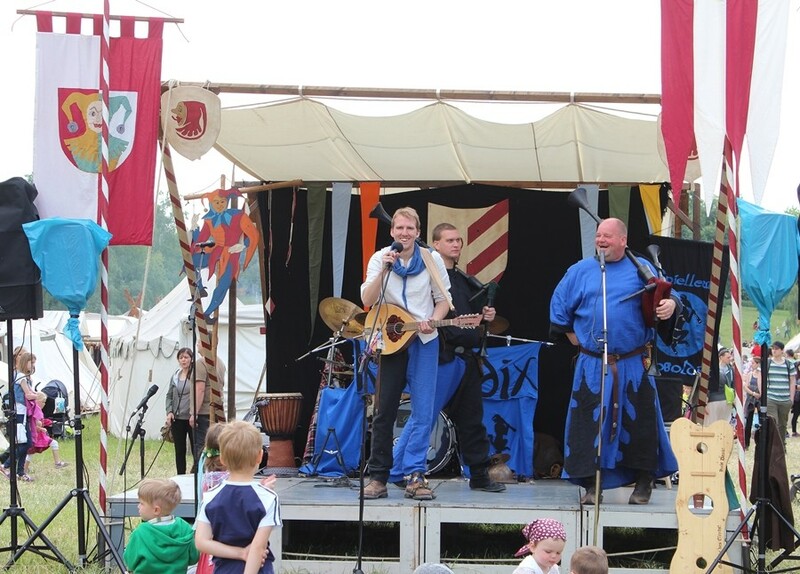 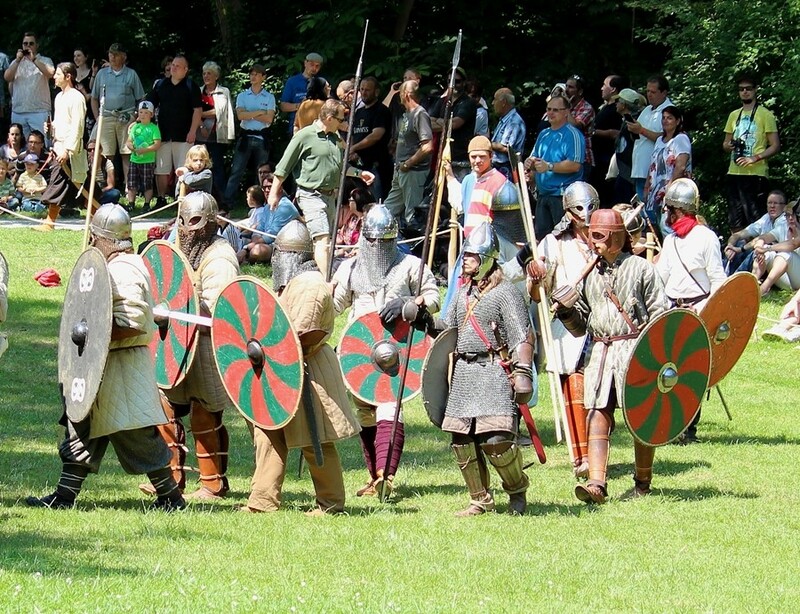 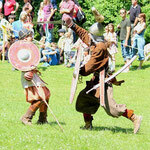 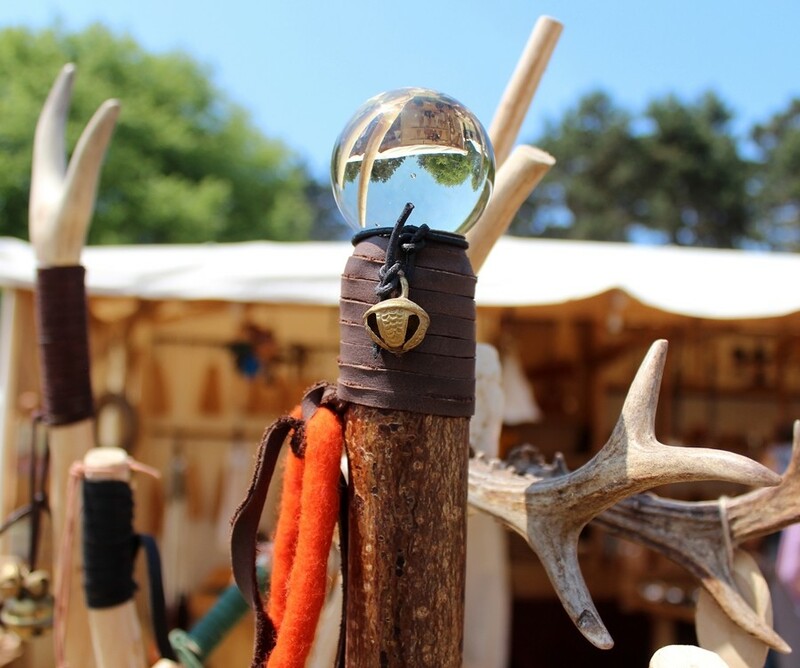 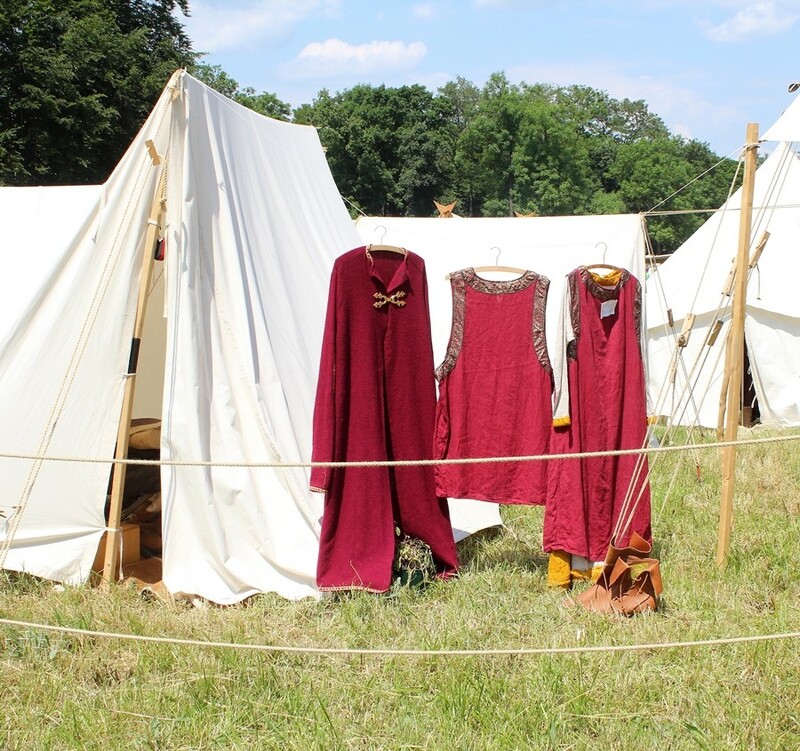 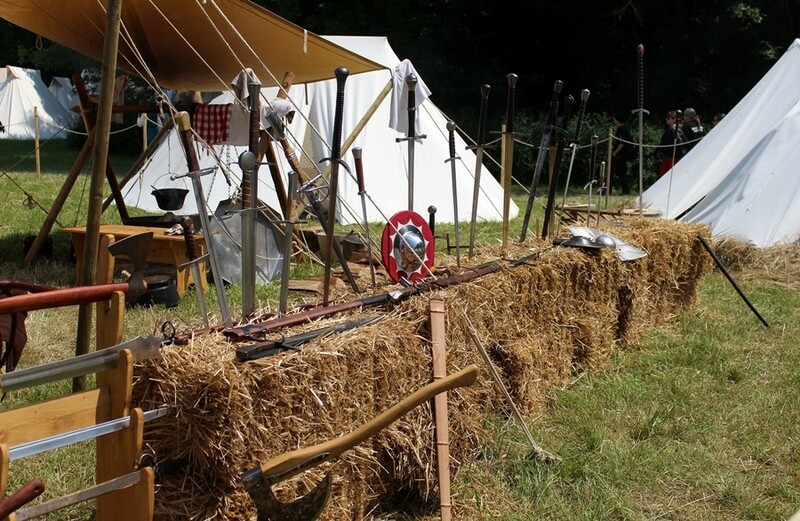 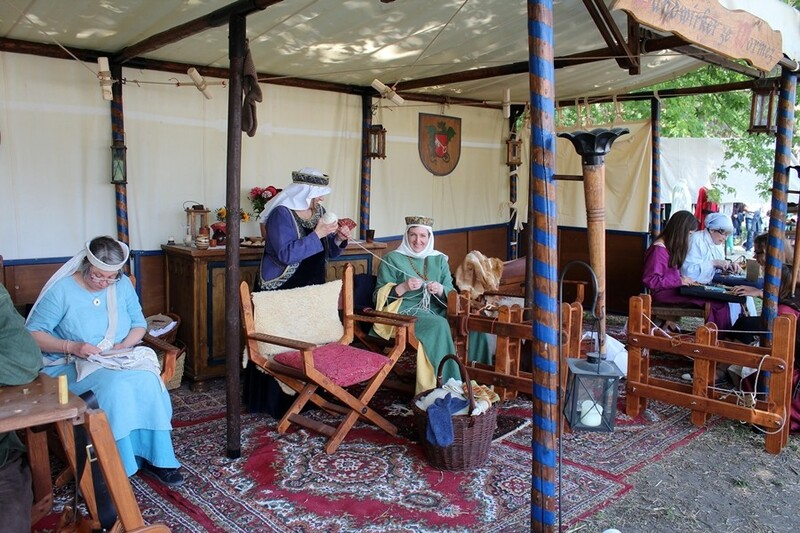 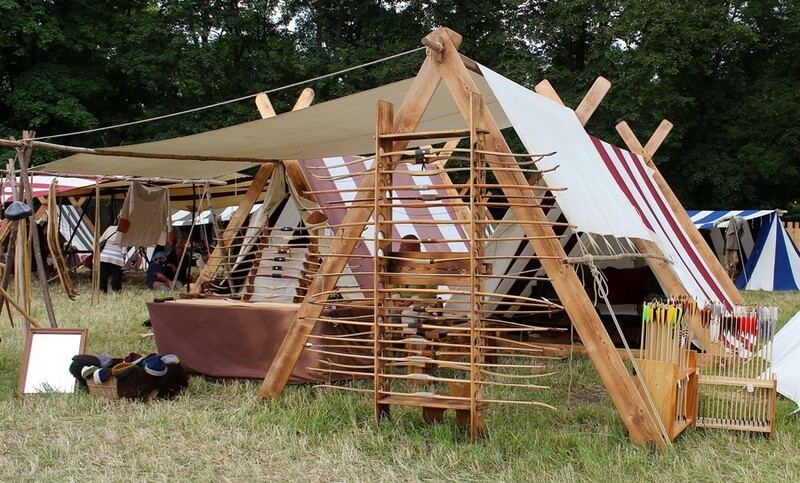 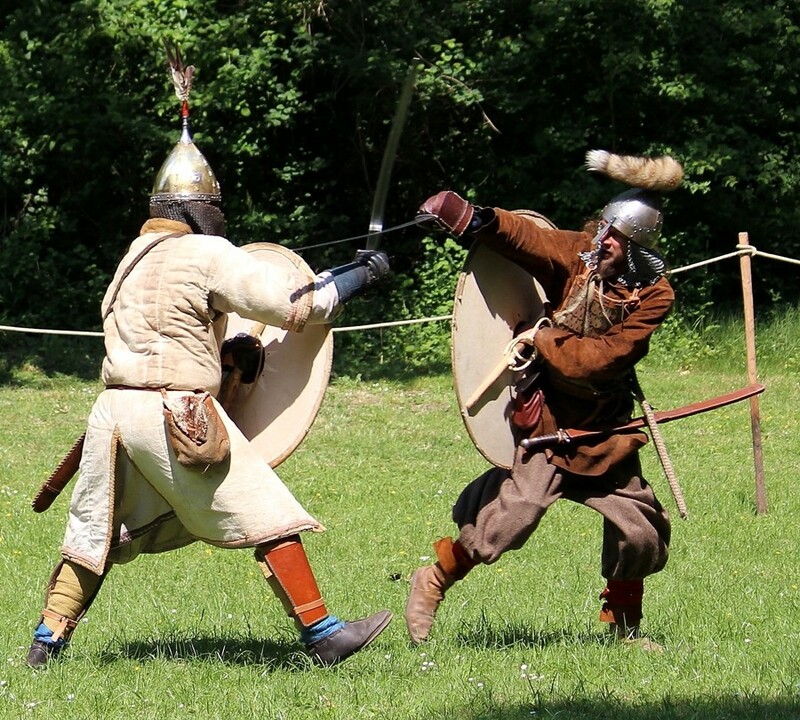 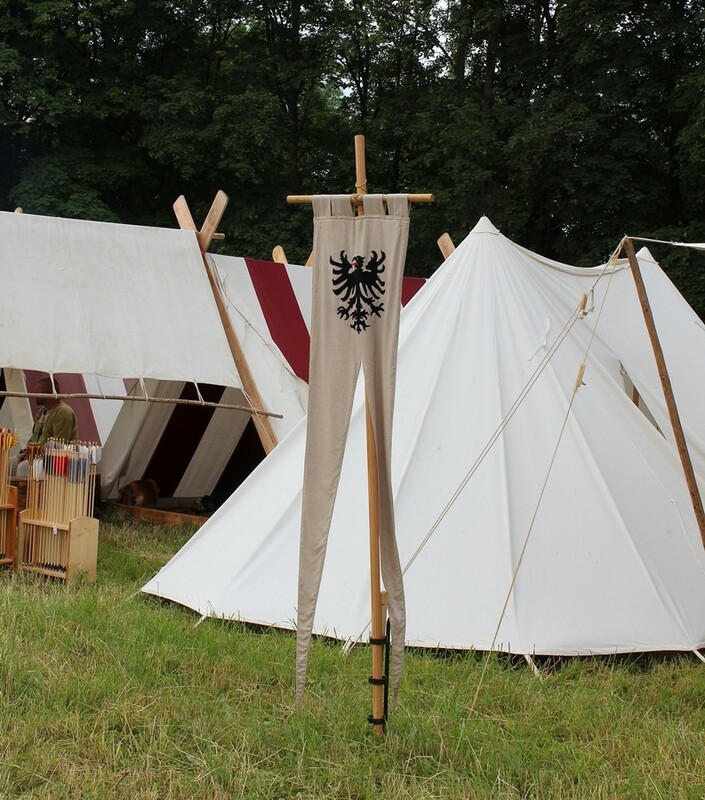 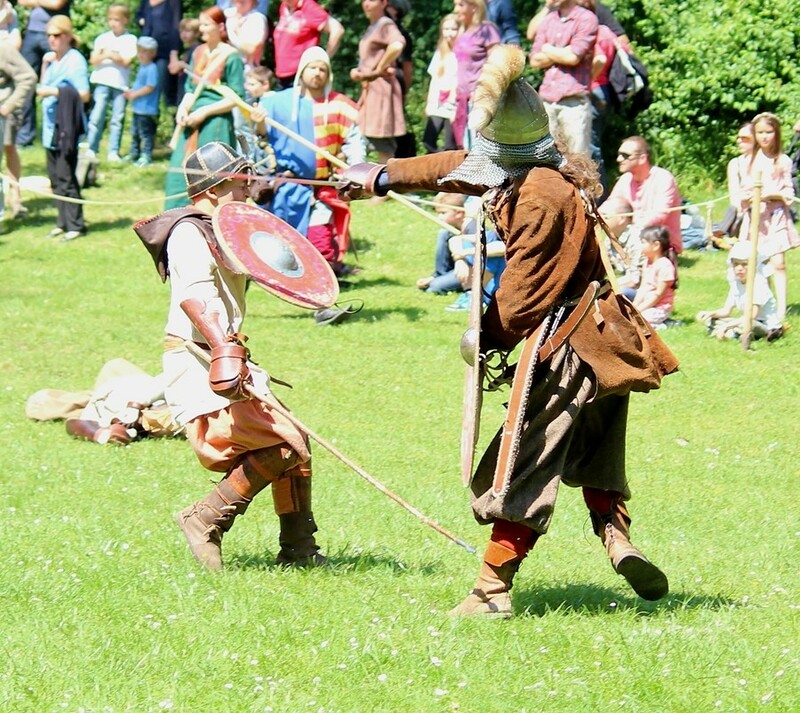 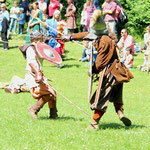 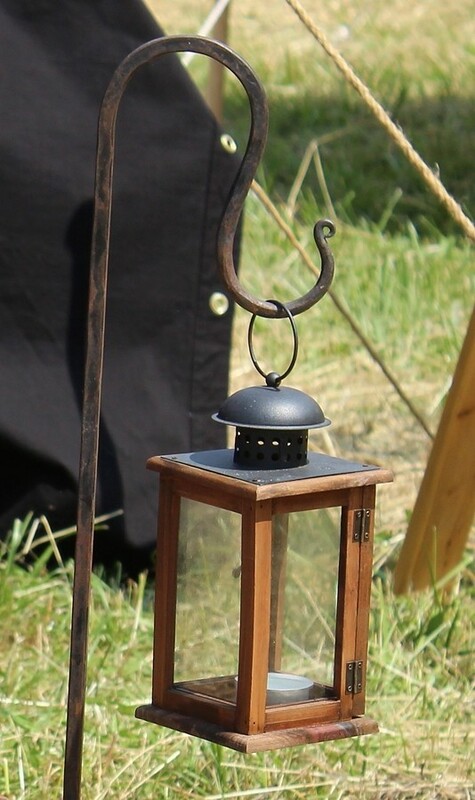 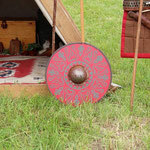 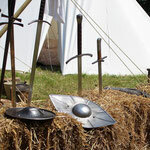 This weekend the medieval festival Spectaculum took place at the Rheinaue wetlands in Worms. 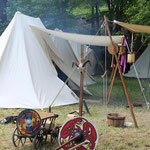 It was - as usual - a colorful mix of tent camps (where you can see how life used to be "back then"), merchants, bards, mouth-watering smells, tasty foods, and much more. 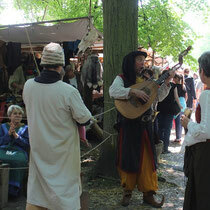 The area of the festival is quite large - therefore visitors can leisurely walk around for hours while taking in the various sights. 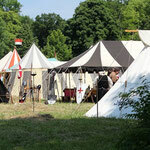 The Spectaculum is not so much a landmark but rather a place with hundreds of impressions. 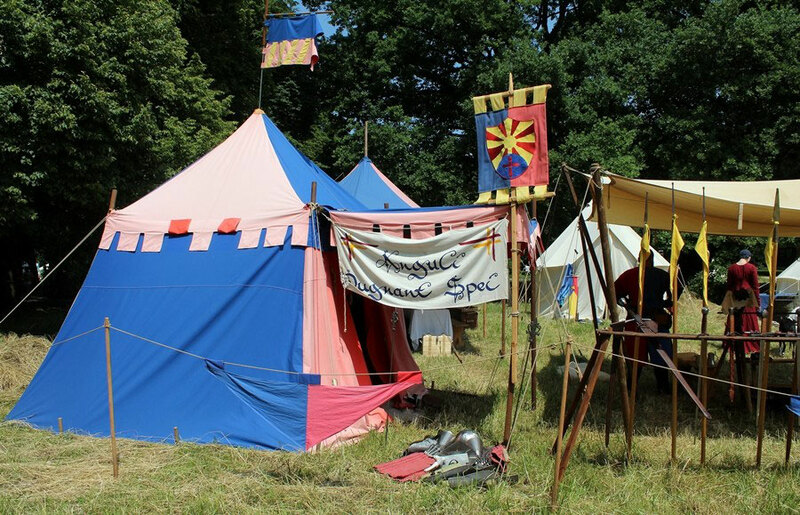 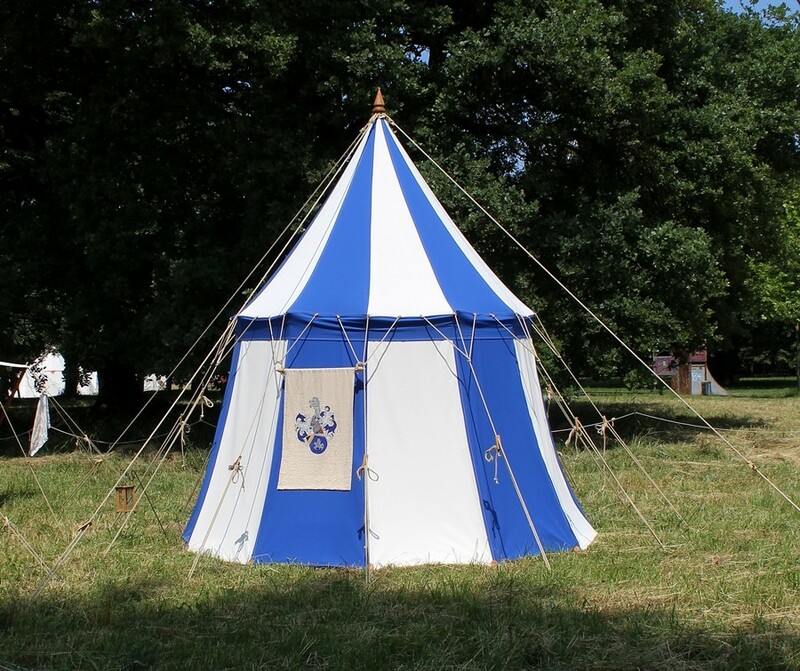 The tent camps - colorful and interesting, because the people in them will give you a glimpse at life how it used to be in the Middle Ages. 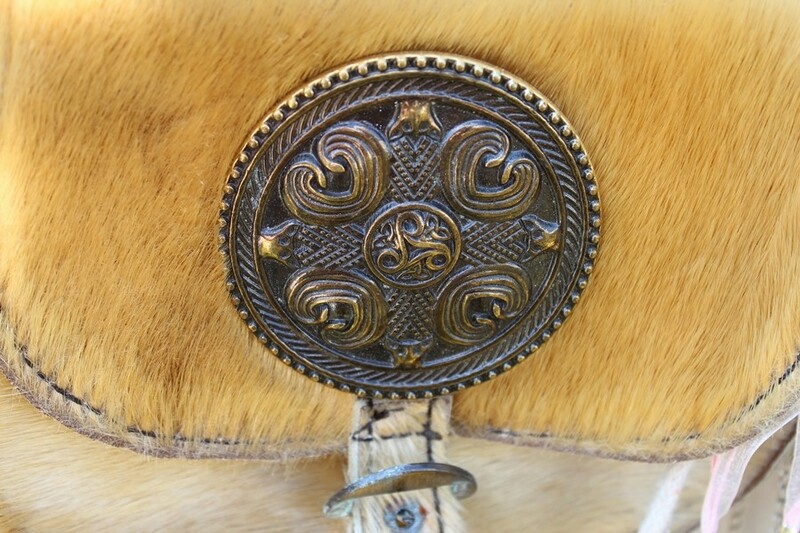 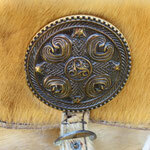 The love for detail is quite amazing, too. 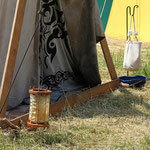 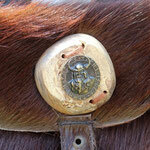 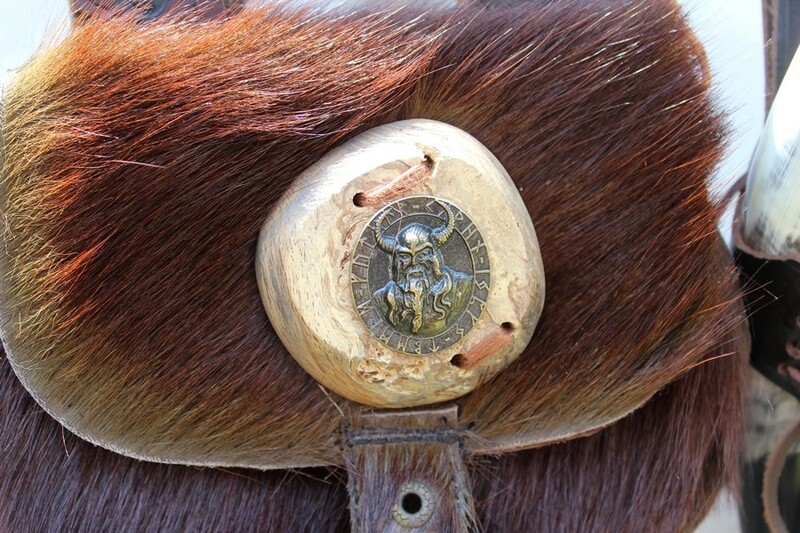 There are several little details that make people want to be part of camps. 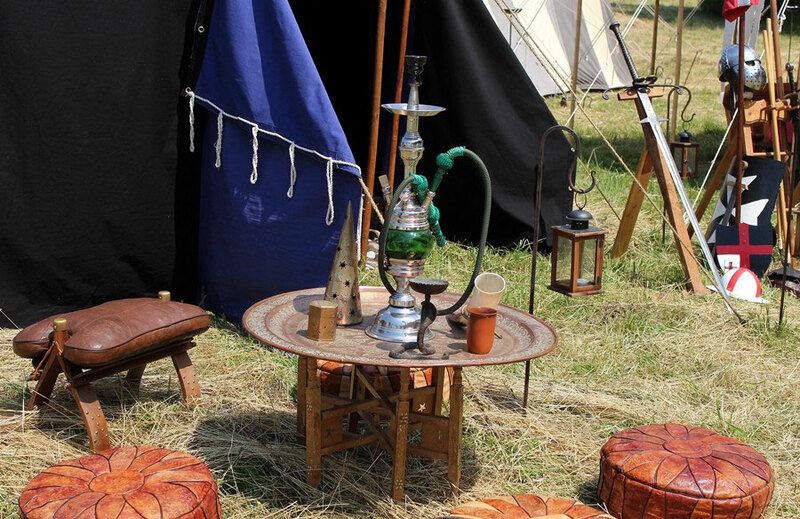 Such as these cozy pillows around a hookah table. 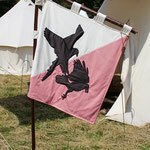 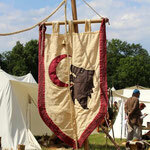 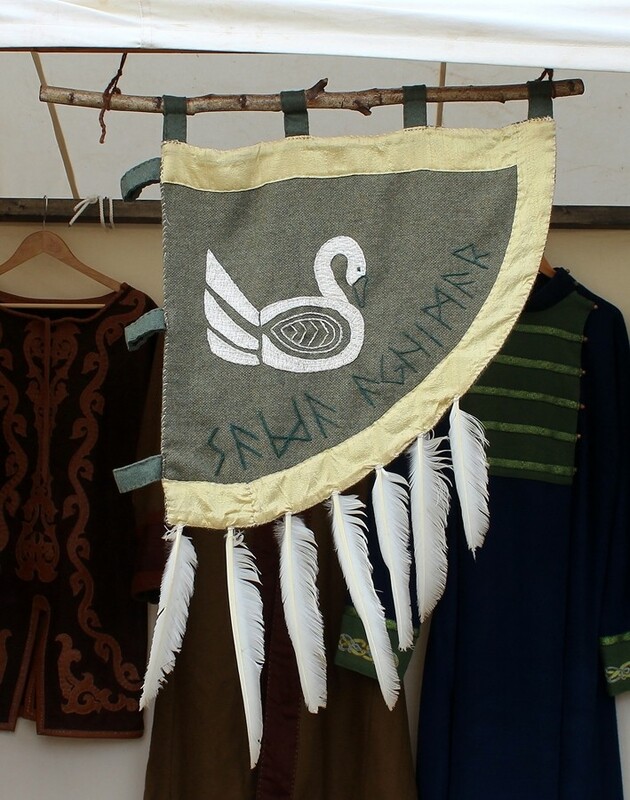 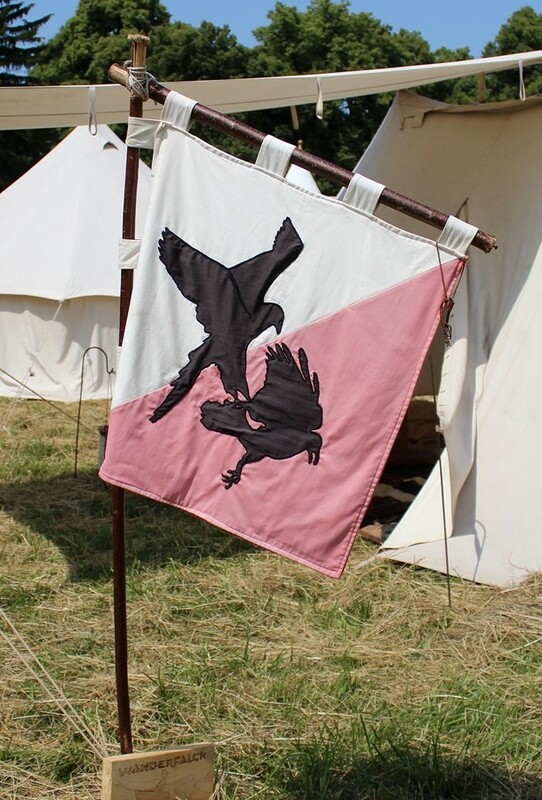 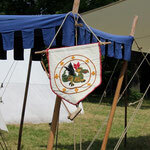 Every camp has its own coat of arms - some pretty basic and some really elaborate. 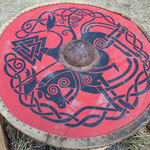 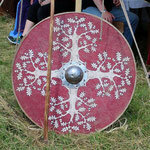 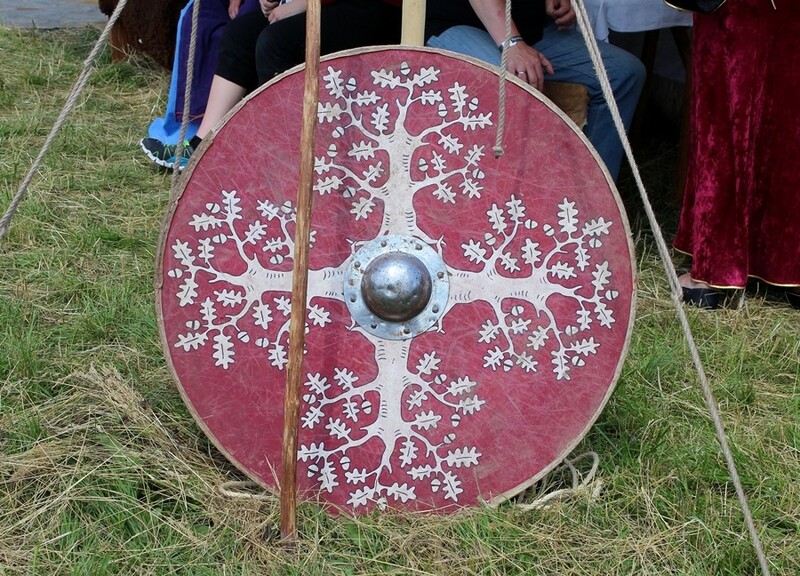 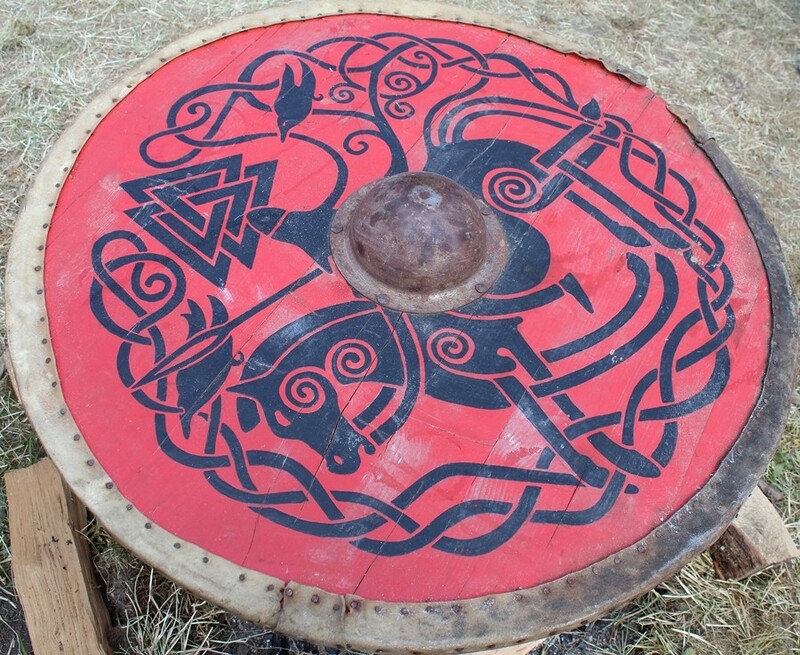 ... and colorful shields all over the place. 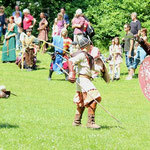 For stressed parents there is the offer of childcare. 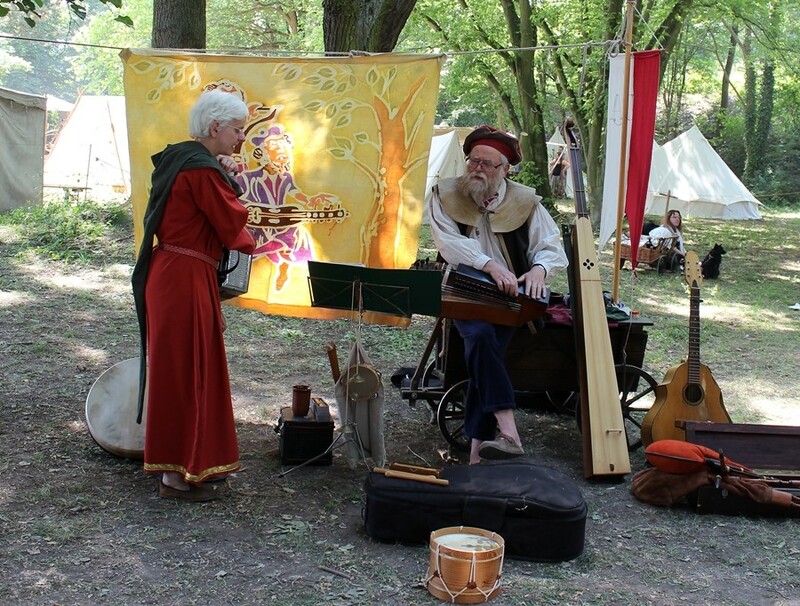 Everywhere you can hear beautiful music made by various bards. 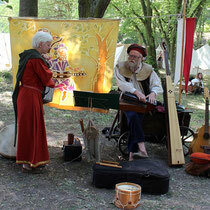 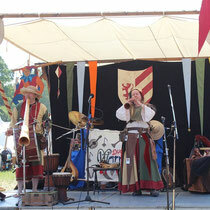 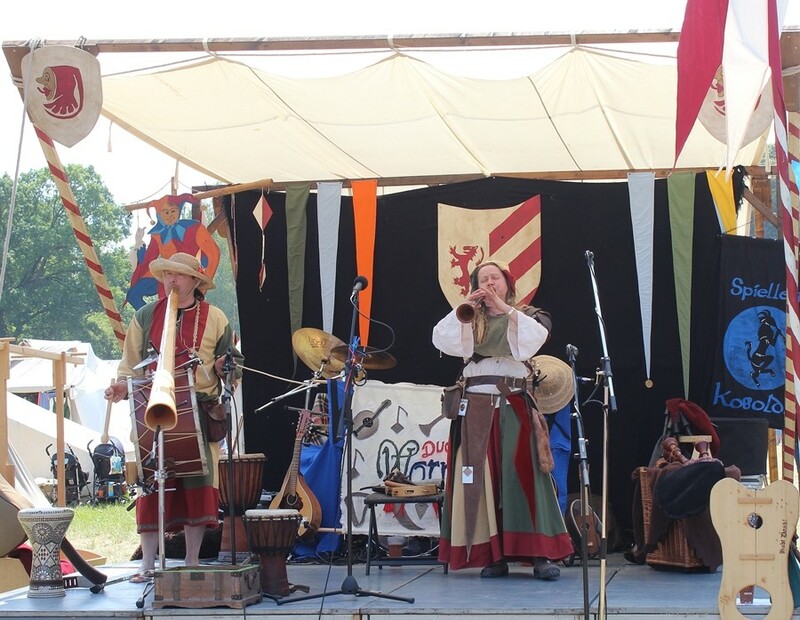 You just have to move to the medieval music - it is that powerful. 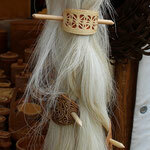 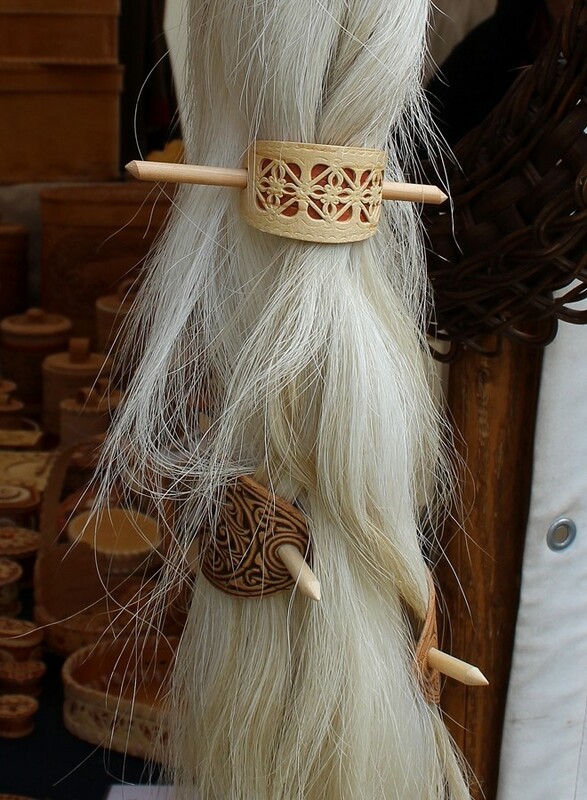 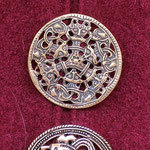 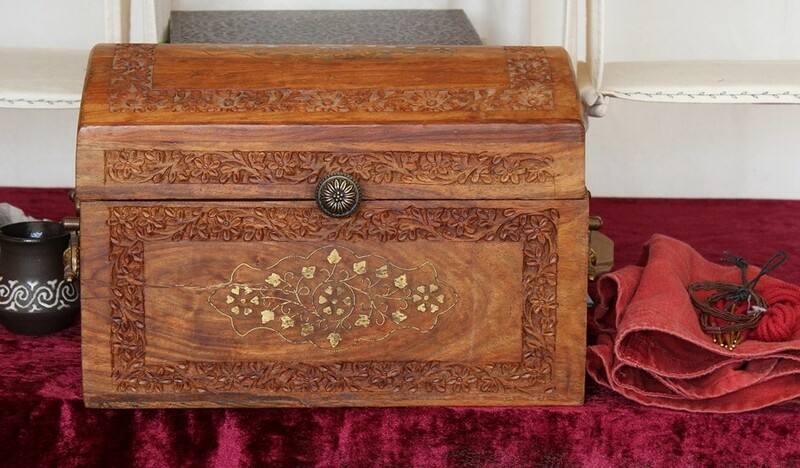 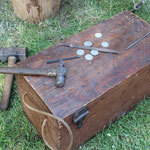 There are various artisans that you can watch as they follow their trade. 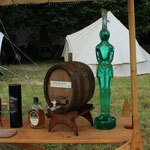 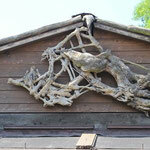 ... as well as various others. 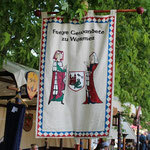 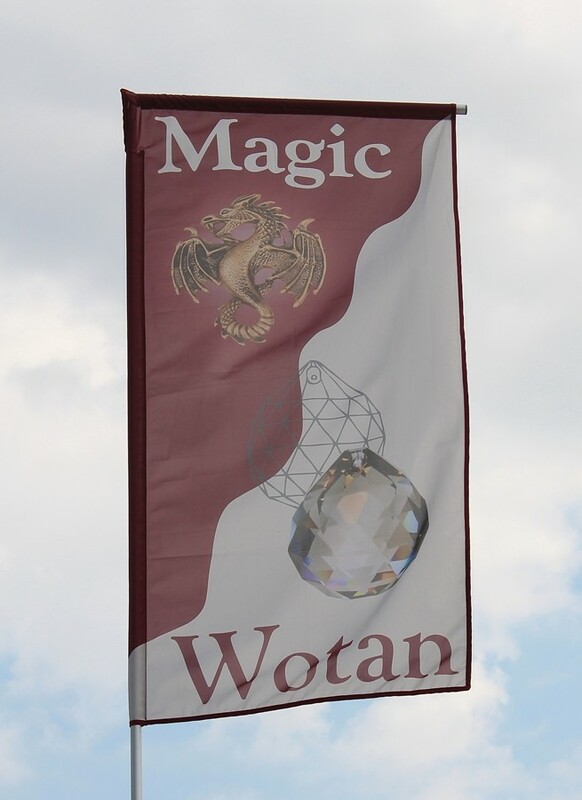 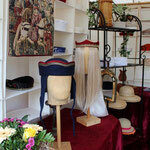 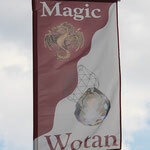 Some of the shops have beautiful banners or signs that show their trade. 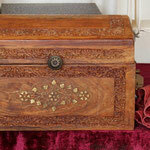 And the decoration always fits the goods. 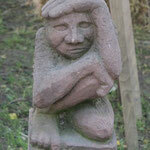 Some random impressions from around the shops. 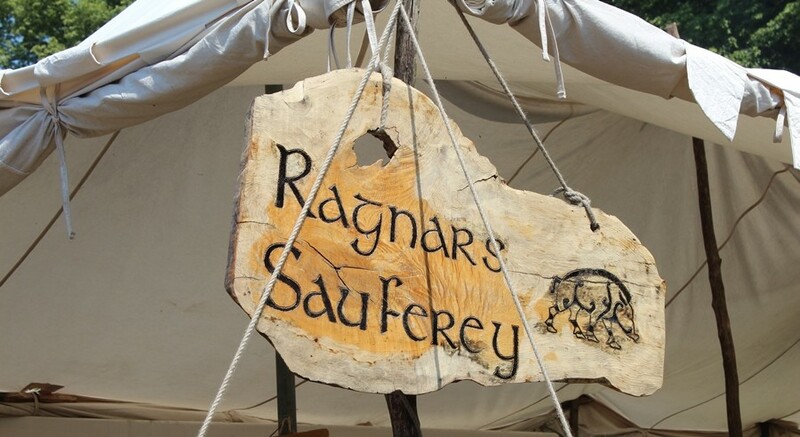 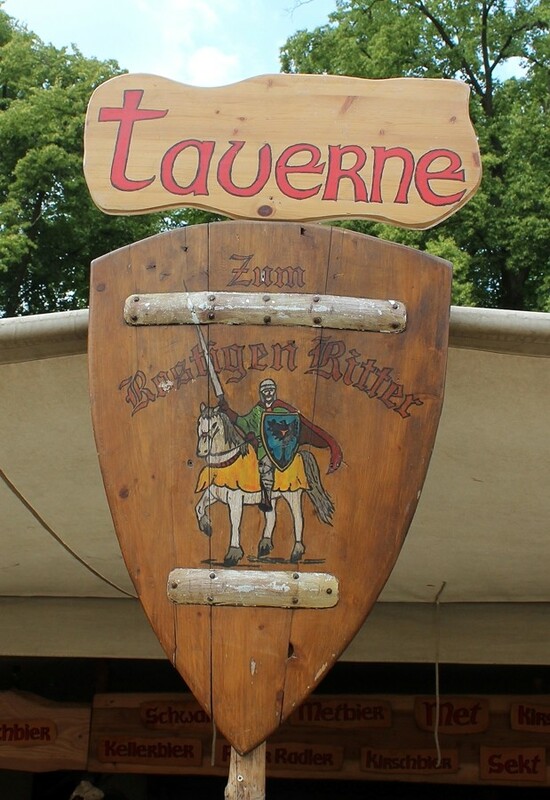 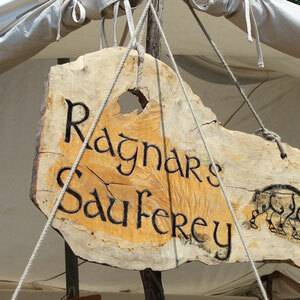 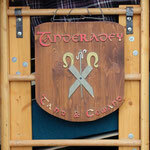 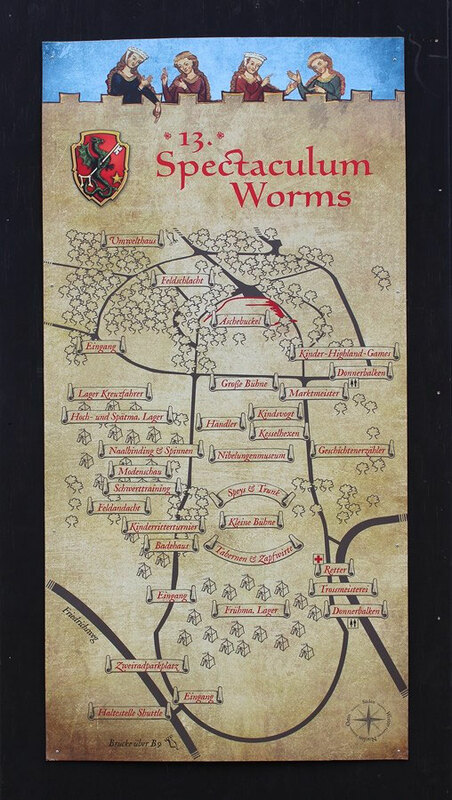 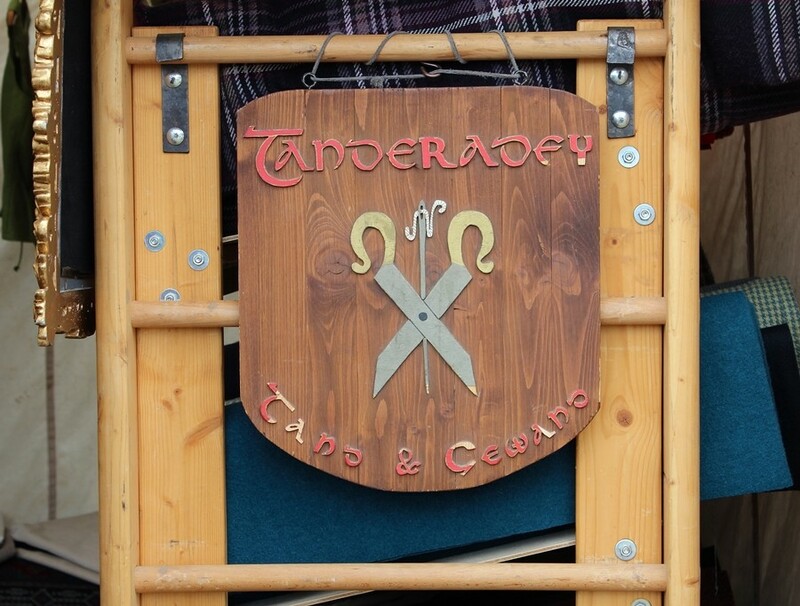 Here are just two examples of tavern signs that catch the eye. 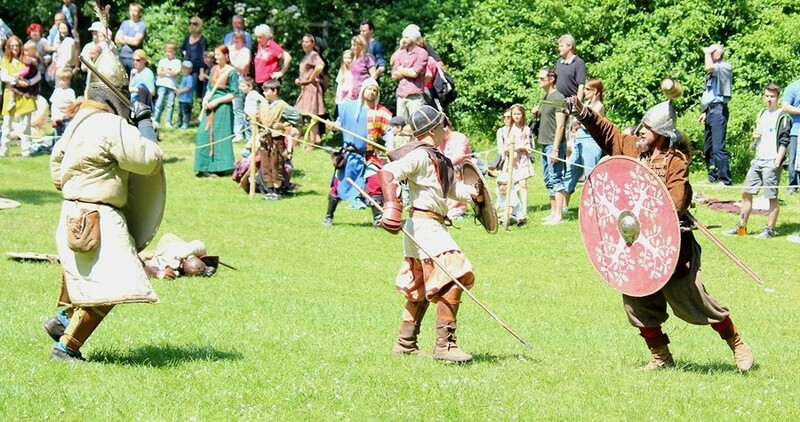 Every afternoon there is a battle in a little valley. 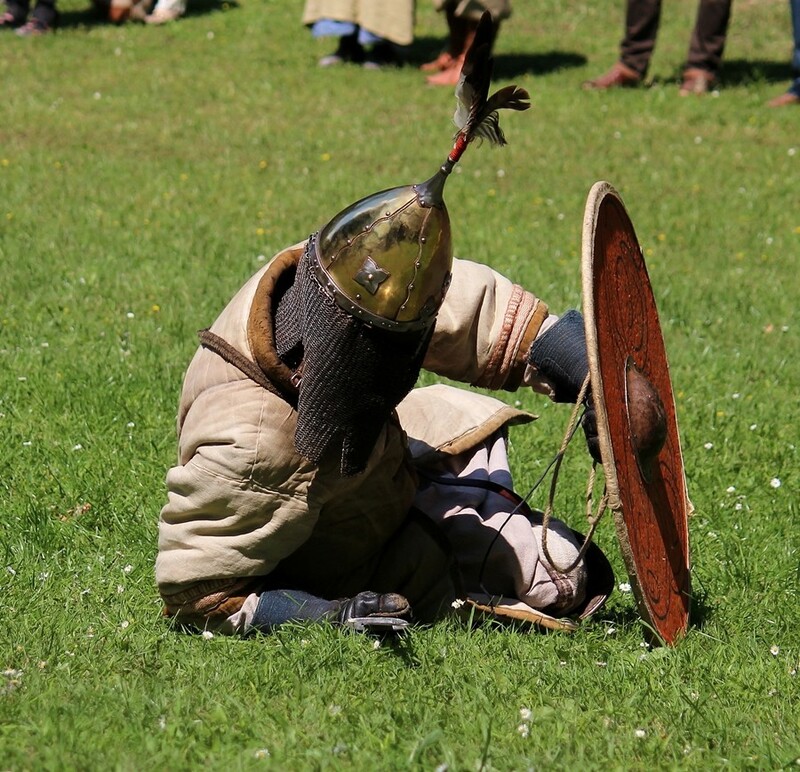 You can tell that the fighters are quite experienced and that they have a lot of fun. 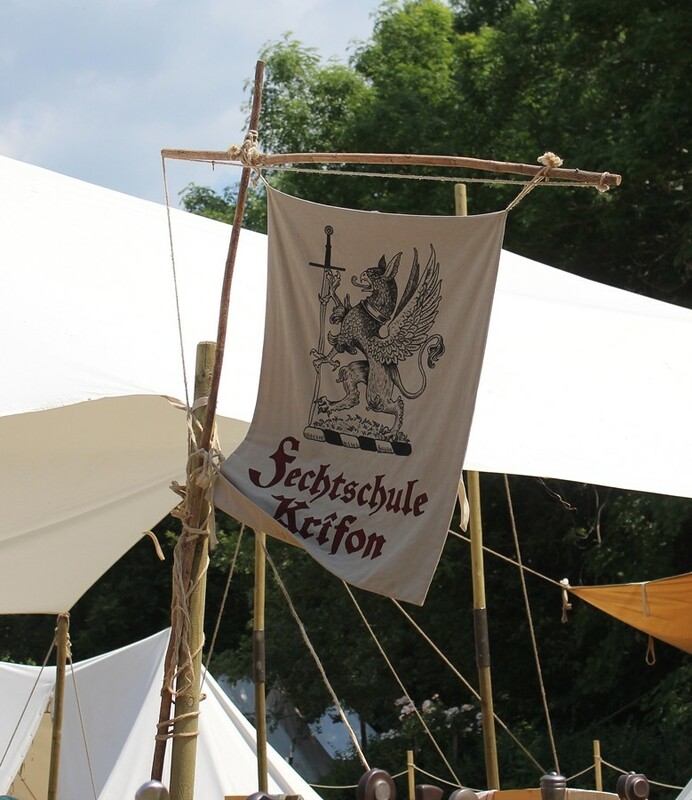 Thus ended a beautiful day - I will definitely come back next year for the 14th Spectaculum.